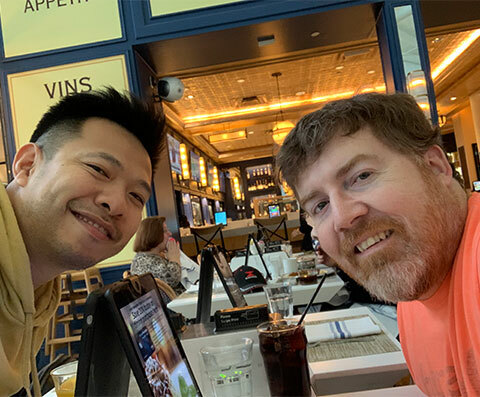 Wei Gao and Guy Tiene are heading up Boston for an important meeting. 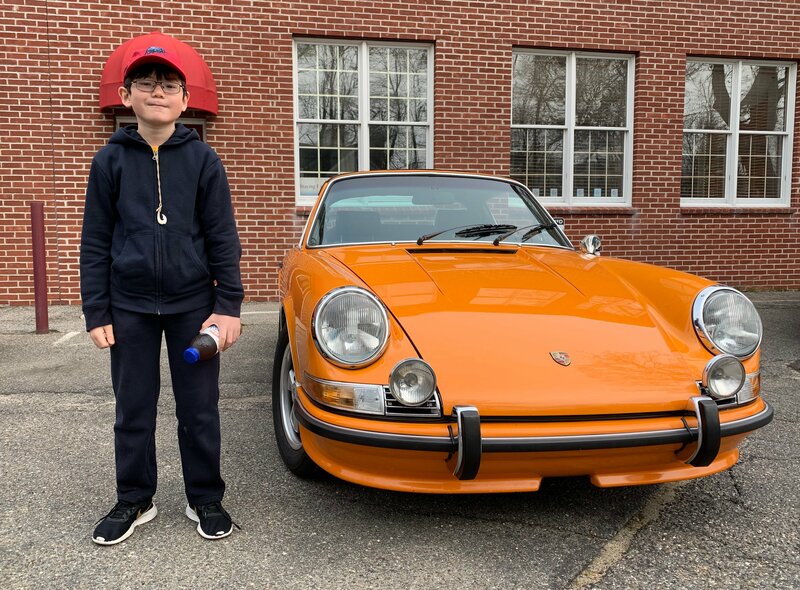 Caffeine and Carburetors had an event in New Canaan, CT this weekend. Luke Walker turned up and picked out his favorite car out of the 1000+ on display. 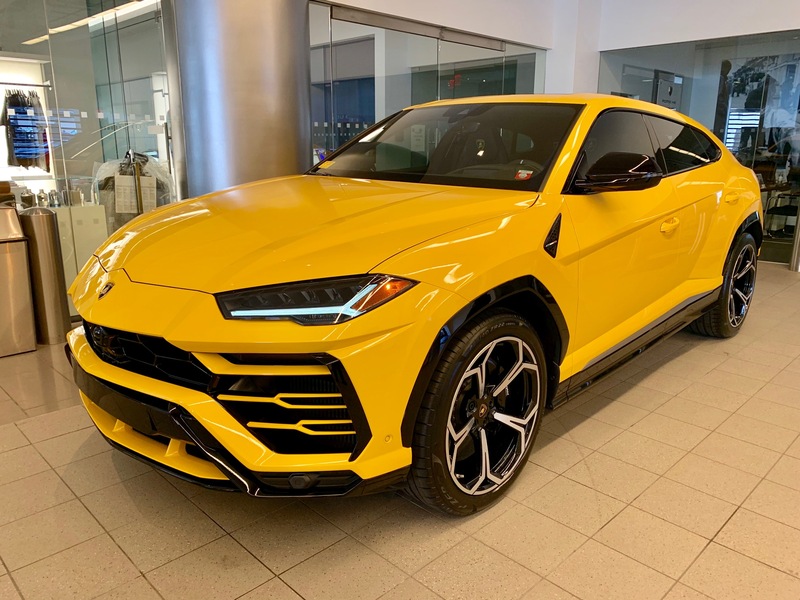 The beautiful new Lamborghini Urus, picked up by one of our new clients this weekend at Manhattan Motors. Lamborghini proves that Italian design and German engineering are a perfect combination. 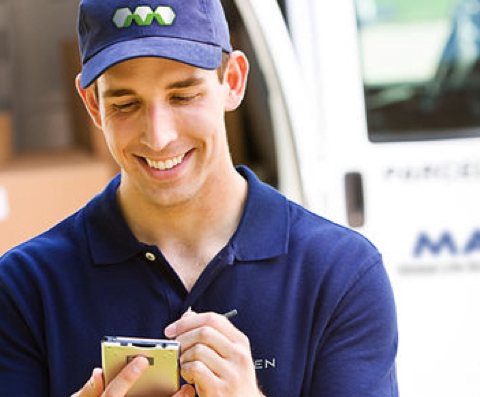 That’s Nice is dedicated to giving each and every client one on one attention. 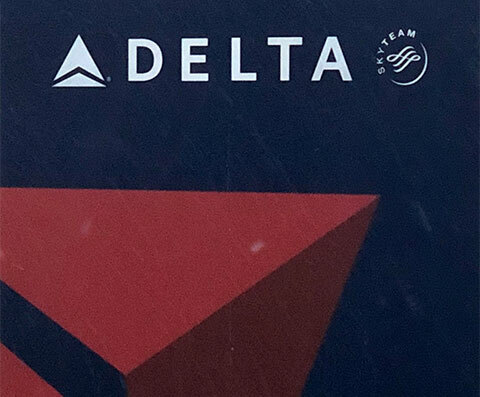 Here, managing director Nigel Walker is visiting a few in Detroit – snowstorm and all. 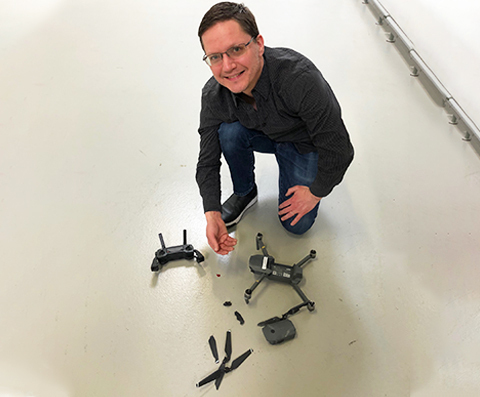 Lucas Visser on our digital capture team accidentally crashed the drone today while on a client shoot, slicing one of his fingers in the process. Here’s to a better day tomorrow, Lucas. 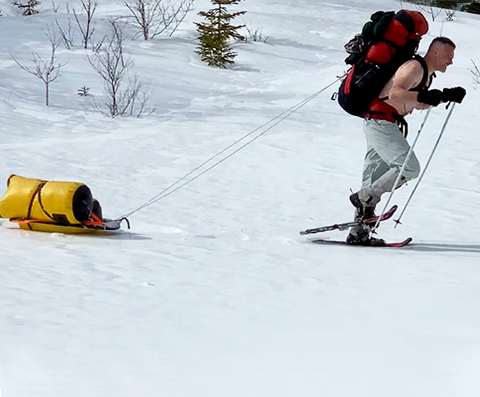 Our friend Shawn led us through the mountains with a 45-pound back pack and dragging a 60-pound sledge. 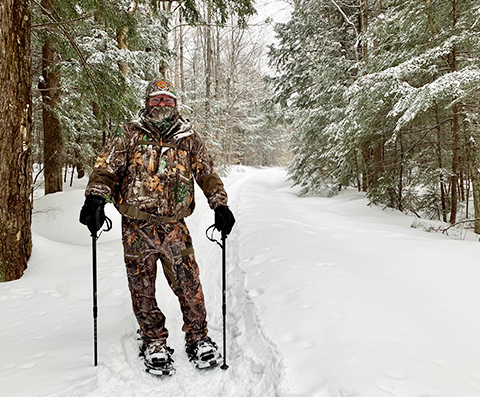 Seems we’ve captured this outdoorsman in his element. 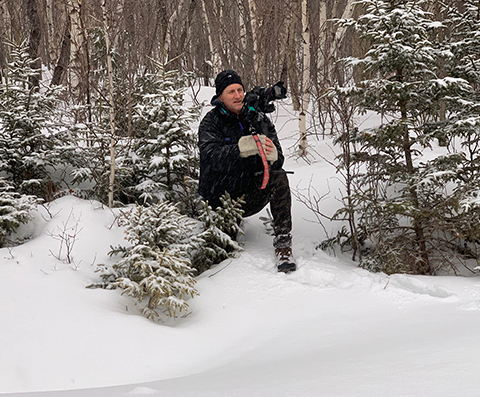 That’s Nice Director of Digital Capture Brian Pierce is pictured here doing what he does best, capturing the subject matter of our upcoming film — on 330 acres of private property. 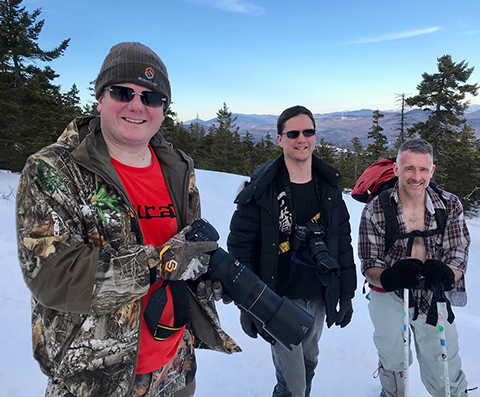 Additional footage from this weekend’s photo and video shoot in the mountains of New Hampshire. 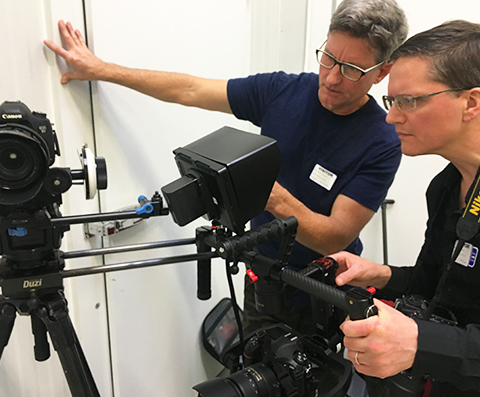 From left: That’s Nice Managing Director Nigel Walker, Photographer/Videographer Lucas Visser and Shawn, the subject of the film. Members of the That’s Nice team took a weekend trip to New Hampshire to shoot the third short film of the Nice Passion series. Pictured here is Managing Director Nigel Walker making his way up the two-and-a-half-mile trail to the location. 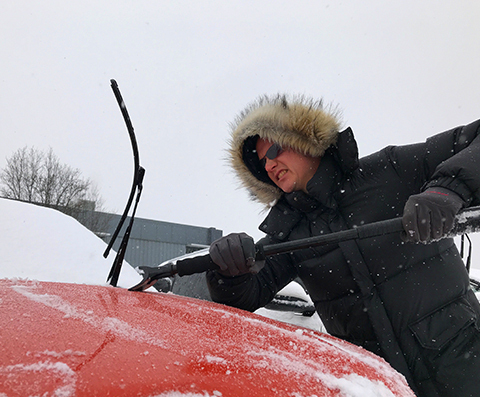 Ever the trooper, our photographer Lucas Visser isn’t letting the snow get him down while on location for a client shoot in the Northeast. 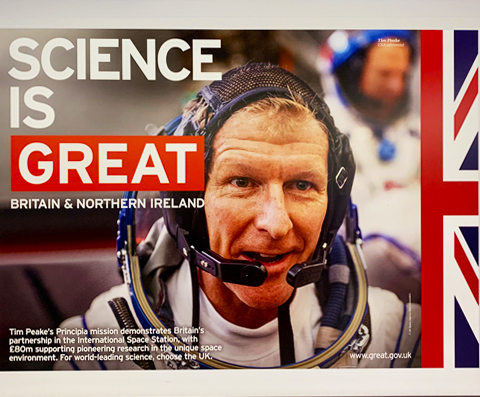 This UK campaign promoting the Best of Great Britain is one of our managing director Nigel Walker’s favorite print campaigns from the past 10 years. A nod to his British roots and science-driven career path, no doubt. 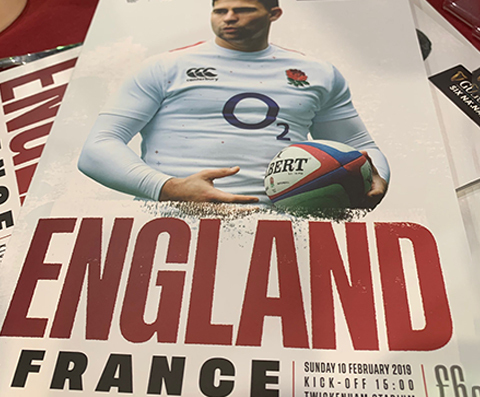 As if there was ever a doubt, England pulled it out for a 35-plus point win over France in the rugby Six Nations match on Sunday. Way to go, boys! 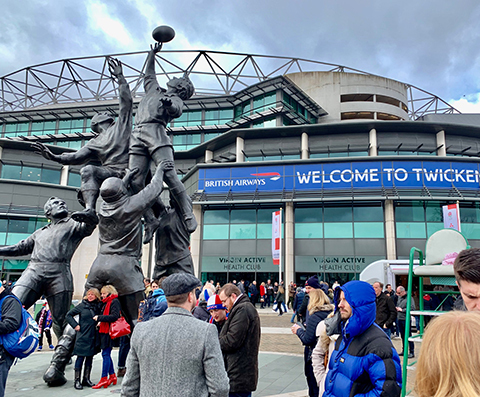 That’s Nice Managing Director Nigel Walker rode the bus this weekend in London for the first time in 20 years as he headed to see England beat France in the Six Nations Championship. Ice was coming down sideways as we left Charlottetown, PEI for a four-hour drive to Halifax, NS during this week's treacherous ice storm. 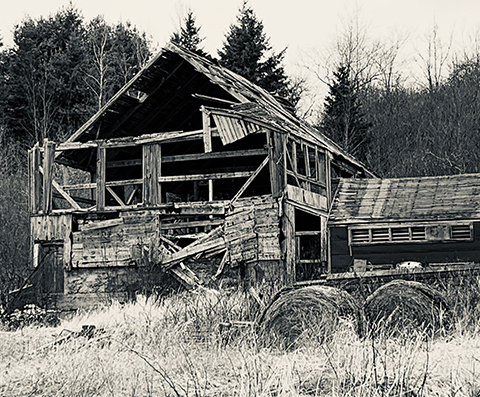 We stumbled upon this beautiful old barn during our trip to Windsor, Nova Scotia this week. 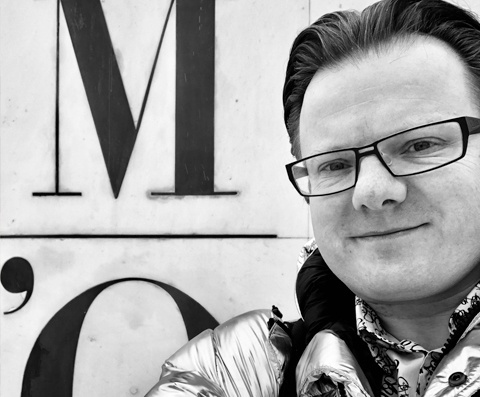 Nigel Walker captured the shot using the silver tone function on the iPhone X. 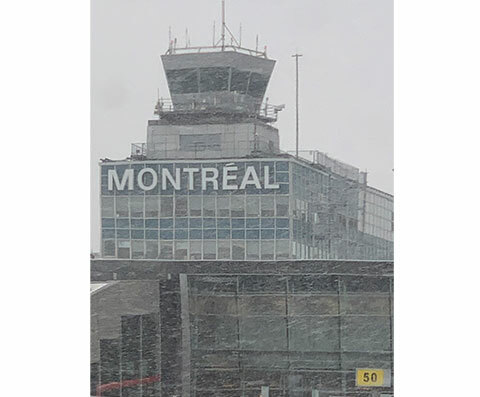 Heavy snow fell as we arrived at Montréal–Trudeau Airport. Kudos to our great Air Canada pilot for getting us safely on the ground through a pretty rocky landing. 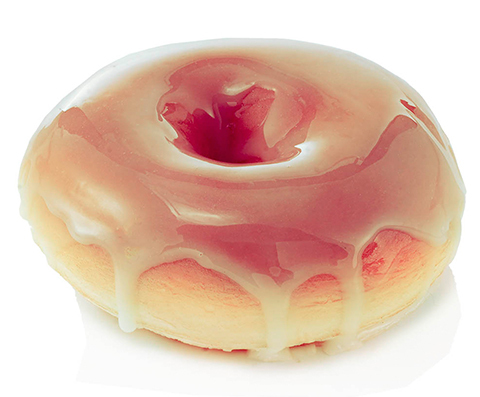 This food snap, courtesy of our managing director, Nigel Walker, who believes the glazed donut could be better understood as a cultural staple of cities around the world. Our guess is he’s found a Tim Horton’s while on business in Canada. That’s Nice is live from Windsor, Nova Scotia, Canada, where (surprise!) it’s just snowed. 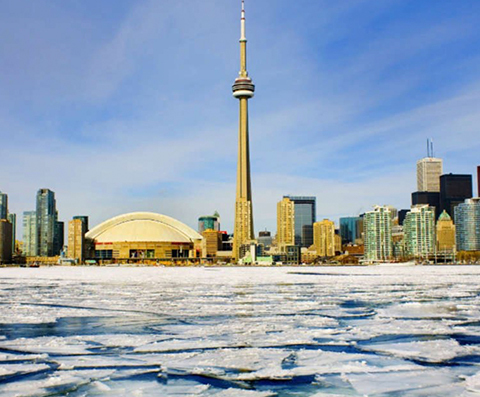 Just one more day of freezing weather (or so they say) as our managing director, Nigel Walker, heads into his next day of client meetings in Toronto. According to Nigel, the Atlanta woods is the perfect place to hang out in a chrome jacket before the big game gets underway. 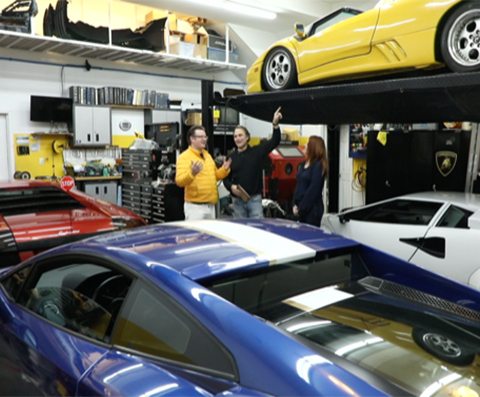 Red Murciélago + Yellow Diablo + White Countach + Blue Gallardo = Supercar Heaven (aka the garage of Lamborghini aficionados Jason and Jamie Jones, who we recently had the opportunity to meet in Ohio). 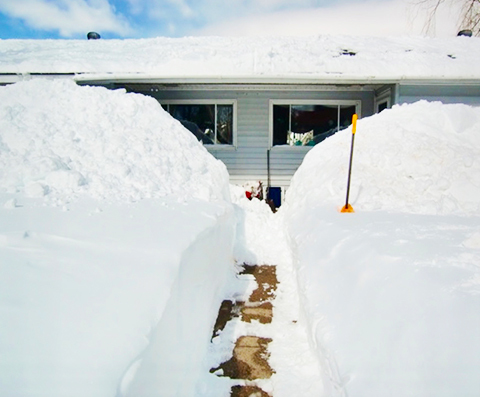 Snow has arrived in the Midwest, where That’s Nice has spent the last few days supporting clients. 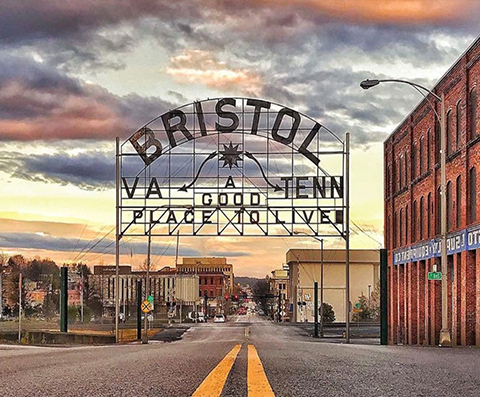 Now it’s off to Mount Jackson, Virginia for our second facility shoot of the week. 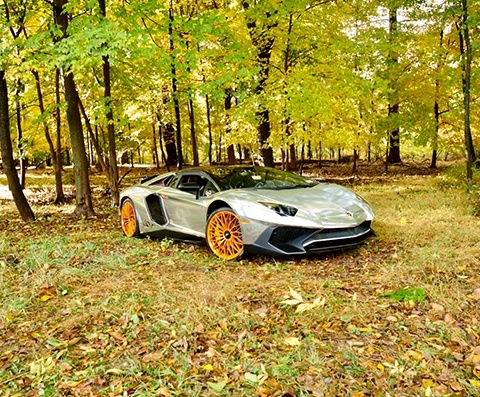 Nigel Walker meets Jason and Jamie Jones of Lambostuff.com at their fabulous home in Ohio to talk Lamborghinis. This is the first time Nigel has had the opportunity to sit in a Countach – a poster of which he had hanging on his bedroom wall as a child. 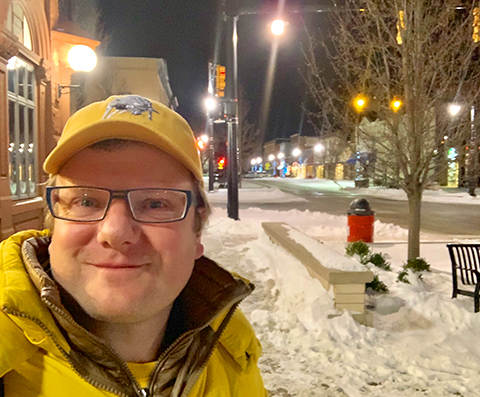 That’s Nice is visiting customers in Michigan, where it appears there's more snow on the ground than there has been all season in NYC. 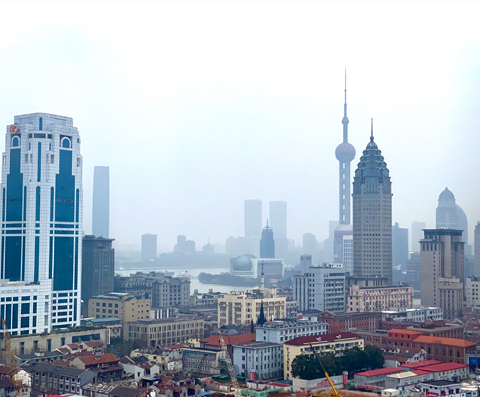 It’s their last night in Asia, and Mark and Wei are back in Shanghai taking in this spectacular view of the iconic Oriental Pearl TV Tower on The Bund. 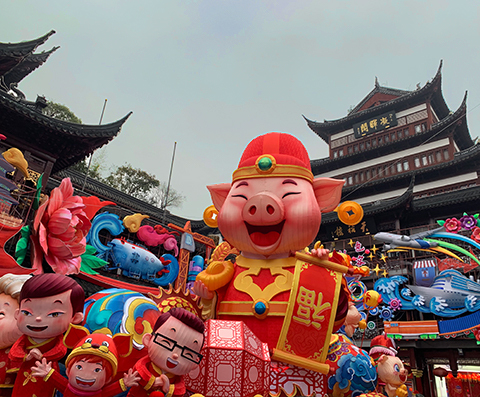 While in China for business, Mark and Wei had the opportunity to welcome the year of the pig, the last in the 12-year cycle of the Chinese zodiac. 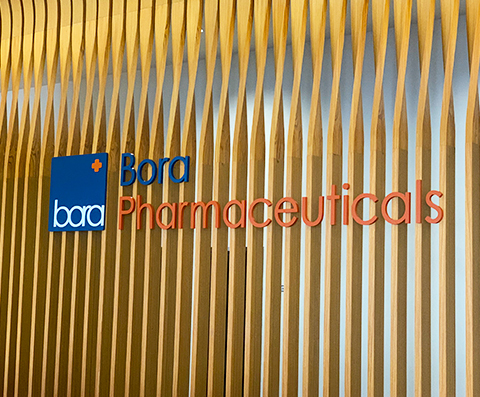 Mark Allen and Wei Gao have arrived in Taipei, Taiwan where they’ll be meeting with the leadership team at Bora Pharmaceuticals. 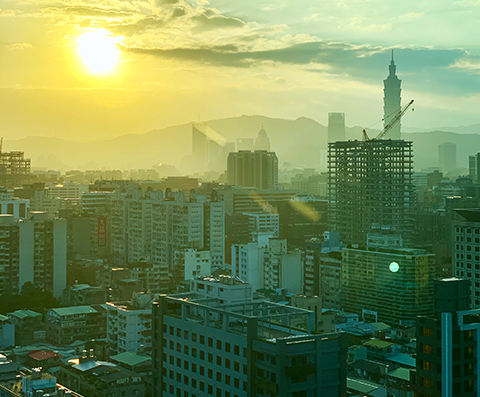 Pictured here is the sunrise looking over the famous Taipei 101 building (upper right), the 10th tallest building in the world. 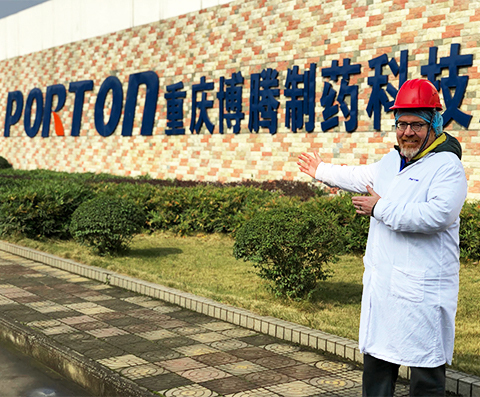 As one might have guessed by his intrigued expression, it’s our strategy director Mark Allen’s first trip to China. 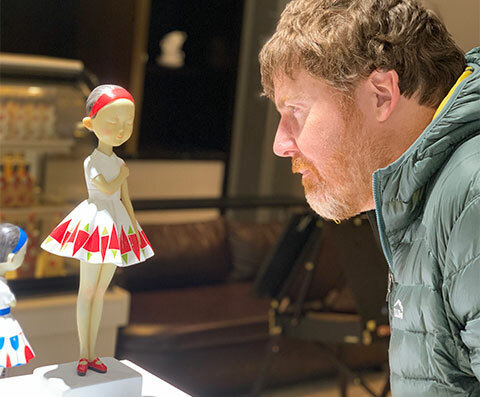 Here he is checking out an art exhibit at the hotel in Shanghai. They made it! 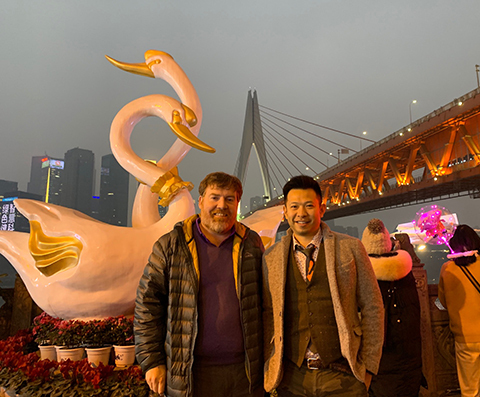 Mark and Wei are kicking off a week of discovery with a new That’s Nice client in China. 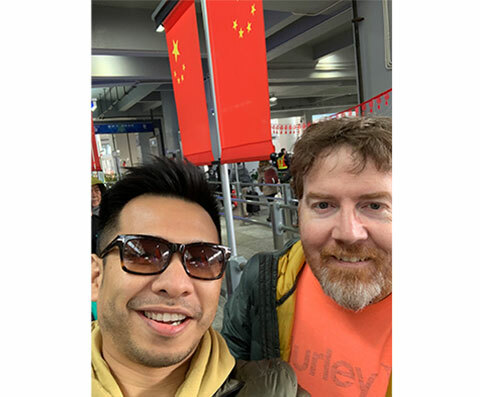 Accounts Director Wei Gao (left) and Strategy Director Mark Allen (right) are pictured here before taking off for Shanghai, the first of many stops on their week-long business trip to Asia. Mark is having his last meal before being forced to step outside his culinary comfort zone. 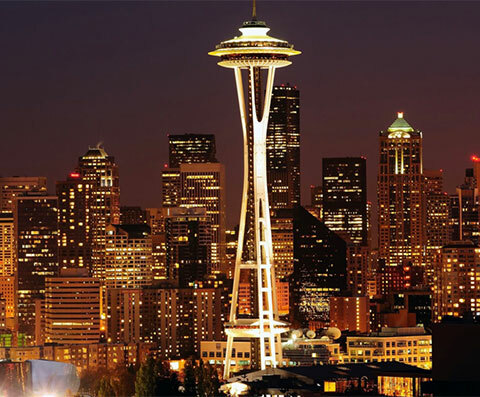 That’s Nice is traveling to San Francisco this week for the JP Morgan Healthcare Conference. 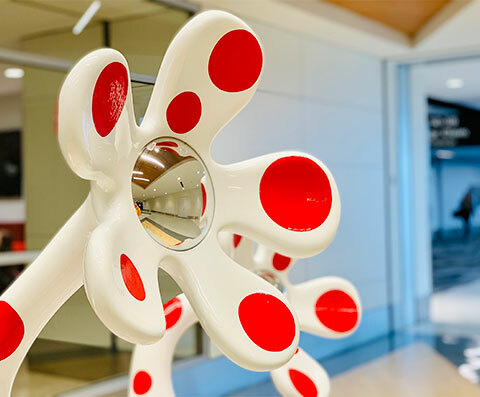 While passing through the airport, our managing director, Nigel Walker, shared a photo of this sculpture he came across in the arrivals lounge. 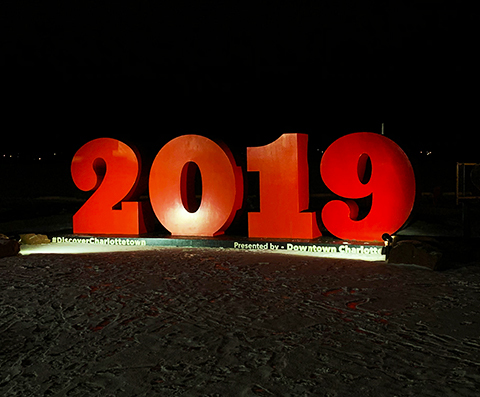 Wishing all of our clients a Happy New Year, courtesy of Nigel, Natsumi, Misaki and Luke Walker. They say the game of golf is 90% strategy. 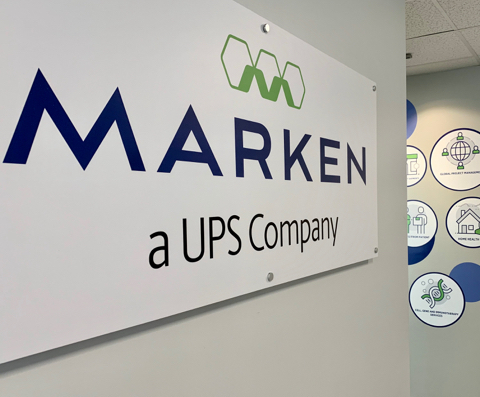 It makes sense, then, that our strategy director, Mark Allen, got his start on the green. 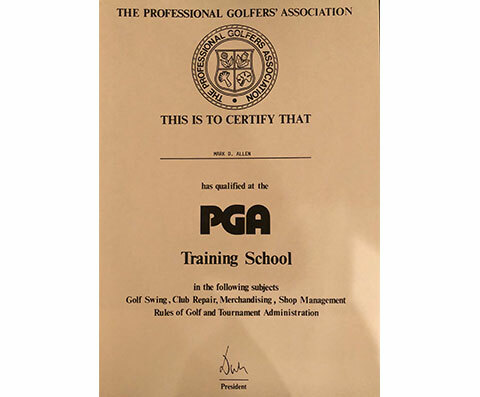 In fact, he’s PGA certified, as substantiated by this ‘artifact’ he stumbled upon during his most recent visit to the homeland. While visiting customers in Atlanta, we came across this striking camouflage-inspired pattern on the airport ceiling as we moved through the terminals. 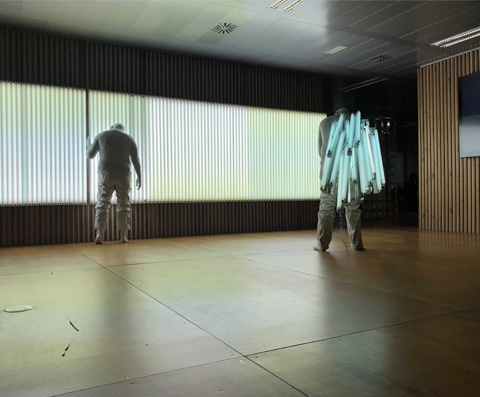 A very creative application using light, monitors and sound. 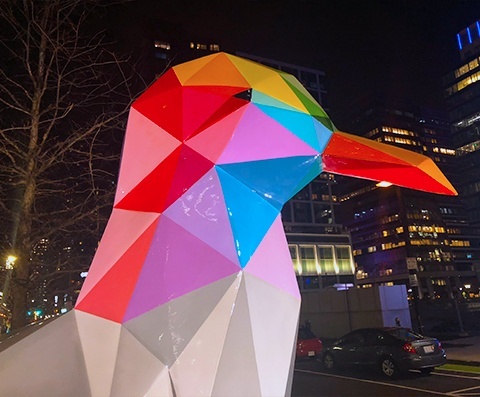 While supporting clients in Boston this week, we couldn’t help but take note of the kaleidoscopic sculptures that have popped up in the Seaport District, adding even more vibrancy to the bustling biotech hub. After their early morning start in Harriman State Park, Nigel and Lucas made their way slightly south to a small community bordering the park, capturing the morning sun shooting across the swampy clearing. 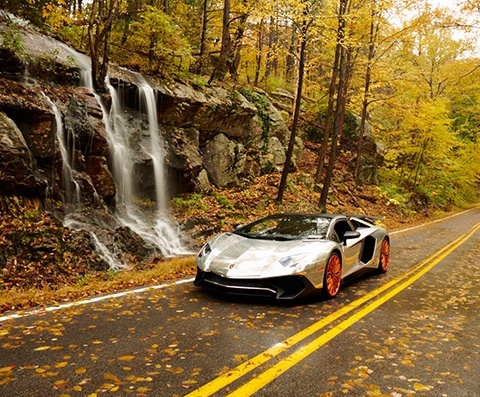 On Sunday, That’s Nice photographer, Lucas Visser, and managing director, Nigel Walker, set out on a 5:30am venture to capture one of Harriman State Park’s waterfalls against the backdrop of the emerging fall foliage. 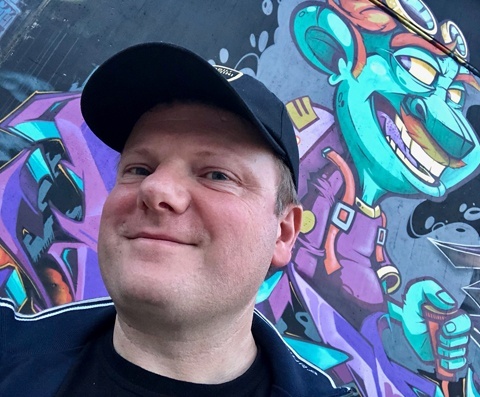 Following Nigel’s graffiti tour of Europe, it’s been determined that Madrid owns the street art space—and that’s coming from a New Yorker. 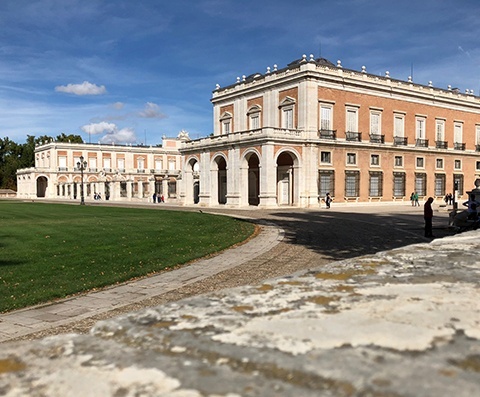 That’s Nice is visiting the Royal Palace of Aranjuez just outside of Madrid before heading back to New York tomorrow. Spain's National Day, also known as Día de la Hispanidad or Hispanic Day, commemorates the arrival of Christopher Columbus to the Americas. We are excited to witness the day’s celebrations on this post-CPhI Friday in Madrid. This interesting contrast of 19th and 21st-century Spain was found in Central Madrid—the silhouette of boy on cell phone in front of the Monumento a Alfonso XII. 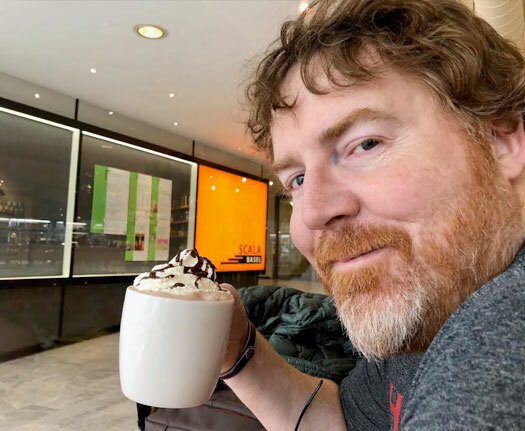 As the weather pattern starts to change and we find ourselves stocking up on rain gear for a sure-to-be-damp fall, Nigel has stumbled upon a far more interesting use of umbrellas while traversing through southern Spain. 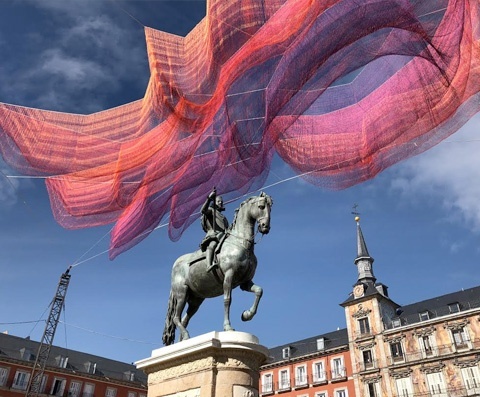 Less than a week out from CPhI Worldwide in Madrid, we’re taking a moment to relax and gather our thoughts before the madness begins on October 9th. That’s Nice is ready to hit the ground running at the biggest event of the year. With all the traveling he does, one never knows what an ever-curious Nigel Walker might stumble across. Today, it was an original painting of Central London capturing the Diamond Jubilee celebrations for Queen Elizabeth II’s 60th anniversary of rule. 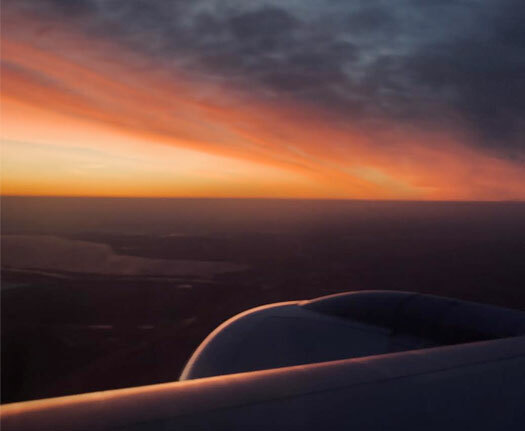 Coming in for landing somewhere over Calvià , Spain, Managing Director Nigel Walker is the first member of the That’s Nice team to head to Europe for a series of pre-CPhI meetings. 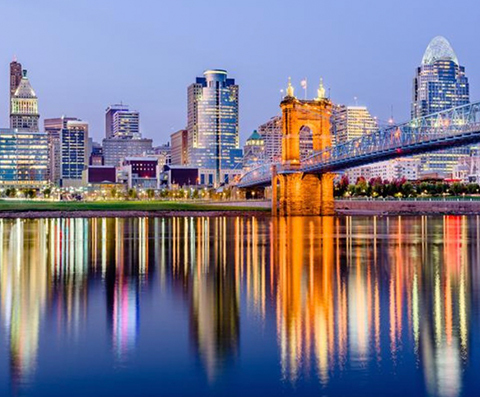 Just one week from today before the pharma industry’s biggest show of the year kicks off! After a few days in Central Europe for business, Nigel is headed back to the States on his favorite airline, Virgin Atlantic. 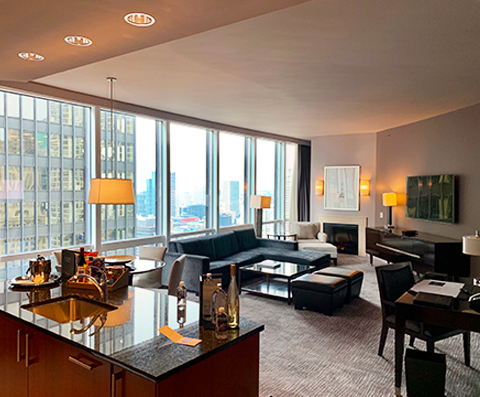 A quick stop in New York to regroup with the team, then it's off to Madrid for CPhI Worldwide kicking off October 9th! That's Nice is in Lithuania this week to meet with our client, Biotechpharma. But before our morning meeting, we couldn’t resist a nighttime stroll through Vilnius, the capital of Lithuania and a beautiful old medieval city. That’s Nice is en route to Lithuania by way of Latvia. 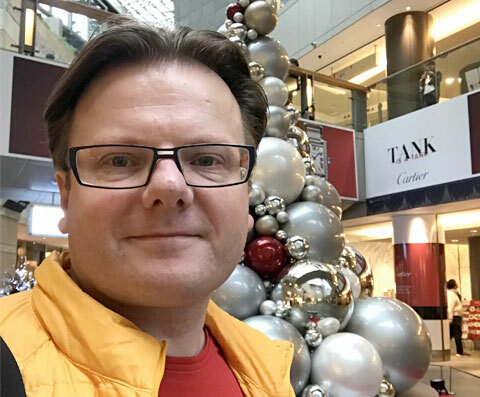 During a quick layover in the capital city of Riga, we had a bit of time to explore this Baltic city, which sits at the mouth of the River Daugava. 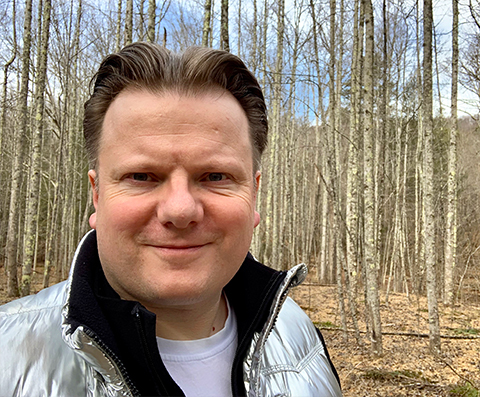 With a little less humidity in the air and a few less leaves on the trees, it's officially fall here in New York as well as in Eastern Europe, where our managing director, Nigel Walker, has found himself today. 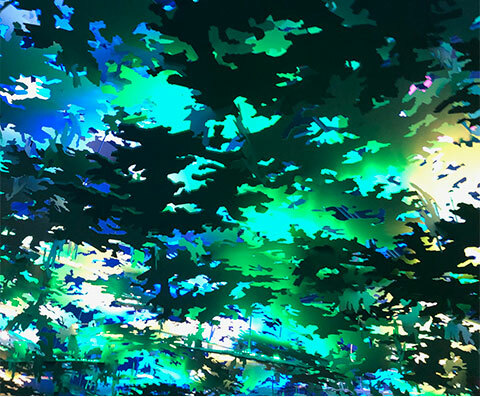 To mark the occasion, Nigel snapped a photo of this vibrant blossom featuring the signature colors of the season. That’s Nice is in Paris once again this year, enjoying the 2018 Ryder Cup at Le Golf National with clients. As we spend more time visiting clients in Tennessee and exploring the southern Appalachian Mountains, we’re thinking camo might be the new fall staple—one we may even take back to NYC as a reminder of the fresh air and unadulterated oxygen sorely lacking in the concrete jungle we call home. A day of entertaining clients in Tennessee wouldn’t be complete without hitting the golf course. Cattails at MeadowView Golf Course served as the ideal venue on what turned out to be an ideal day for a few rounds. After a week of client meetings down south, Nigel decided to extend his trip a bit to catch the NASCAR race at Bristol Motor Speedway in Bristol, Tennessee. 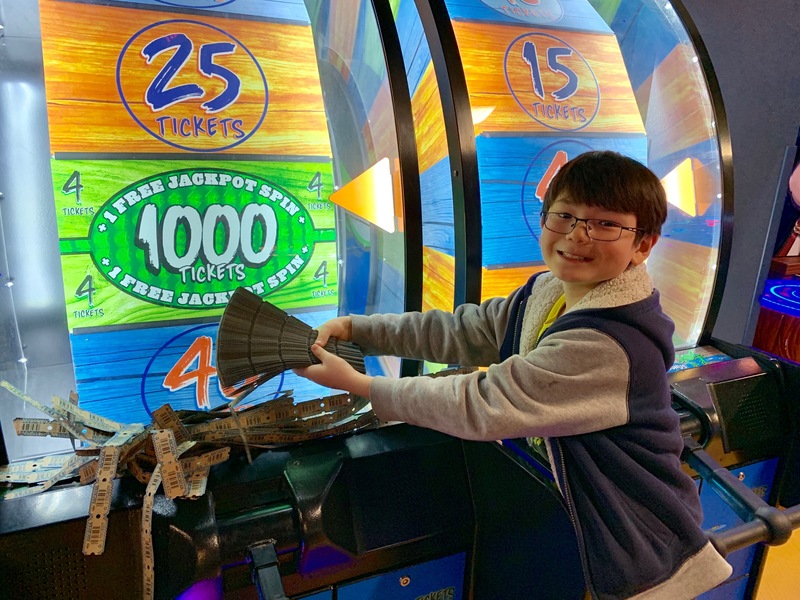 Pictured here is one of his favorite pit stops—the Sunoco gas filling station. 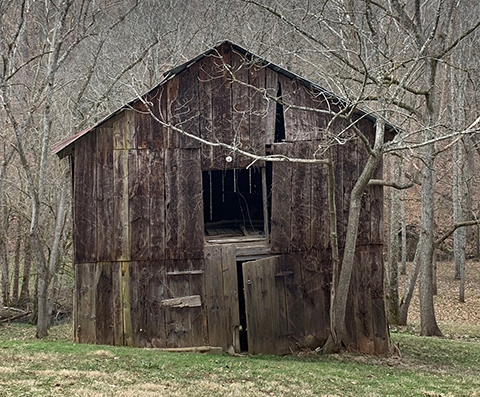 While in Bristol, Tennessee for business, our managing director, Nigel Walker, took a quick step off the beaten path to visit “The Olde Farm,” an exclusive golf course and retreat founded by philanthropist Jim McGlothlin. Located just outside of Bristol, Virginia, the private golf club is one of the most highly acclaimed in the country. 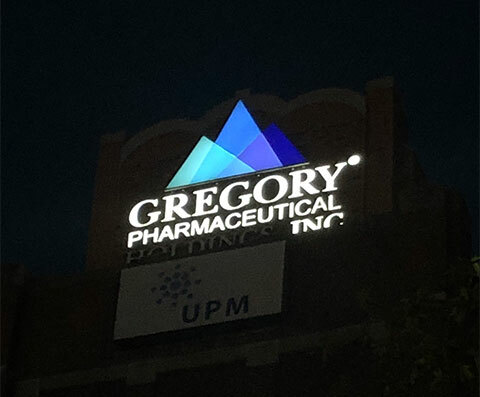 That's Nice is in Tennessee today visiting Gregory Pharmaceutical Holdings (GPH) and its founding members, John and Jeff Gregory. 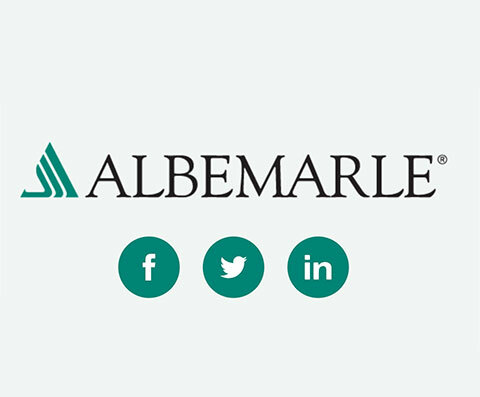 For the past eight years, we have been supporting UPM Pharmaceuticals, a division of GPH, and look forward to learning more about the parent company of our longstanding client. That's Nice is visiting customers in the south over the next two days. 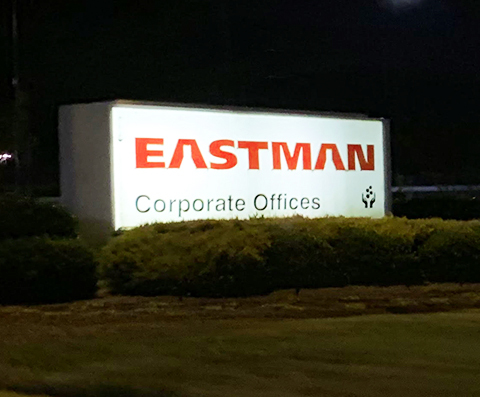 Our first stop in Atlanta, Georgia is bringing back memories from the 1996 Olympics, for which we designed the US Olympic team crest that the athletes wore on their uniforms. This was done in collaboration with f ashion designer Henry Grethel Apparel. While in Lisbon for business, That’s Nice Managing Director Nigel Walker visited Chartwell Actives, an API services company led by General Manager Manuel Eduardo Fernandes. 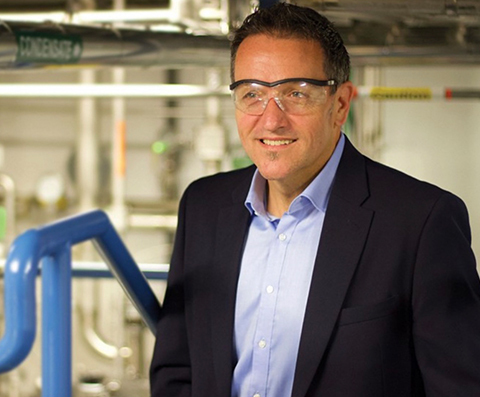 This close-knit team of multidisciplinary scientists is driving the next generation of specialty pharma. 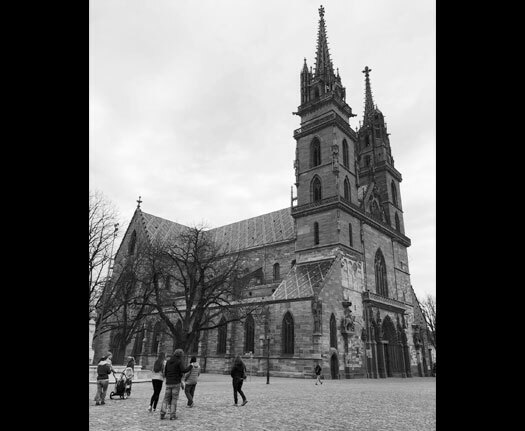 While visiting our client in Gdańsk, one of three Baltic cities comprising Tricity, Poland, the team found time in between meetings to take in some of the rich history and culture the area has to offer. 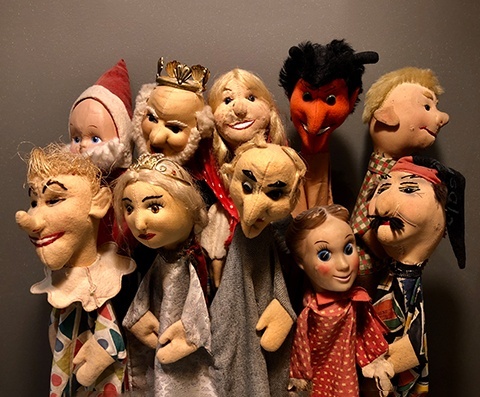 St. Dominic's Fair is the largest open-air trade and cultural event in Poland and a summer staple of Gdansk, attracting tourists from across Central and Eastern Europe—and on this day, the northeastern US! Back in 1987, That’s Nice Managing Director Nigel Walker worked on the gate at Lord’s Cricket Ground for a summer of tests against various international teams. Thirty-one years later, Nigel returned to the grounds with friend and business partner Haig Armaghanian to see Naple and Holland play in a one-day match. 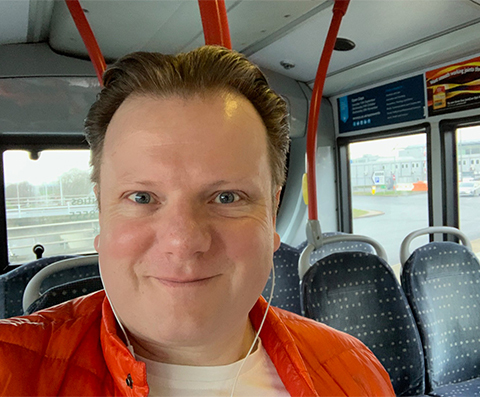 While visiting London this weekend, Nigel met up with an old friend and business partner, Haig Armaghanian. The two visited the flower nursery inside St. John’s Wood—an interesting find in the middle of London. While walking through Munich early this morning, we came upon two unusual sights—a 20-kilometer English garden in the middle of the city and some surfers looking to catch what we can only assume was the Eisbach Wave . 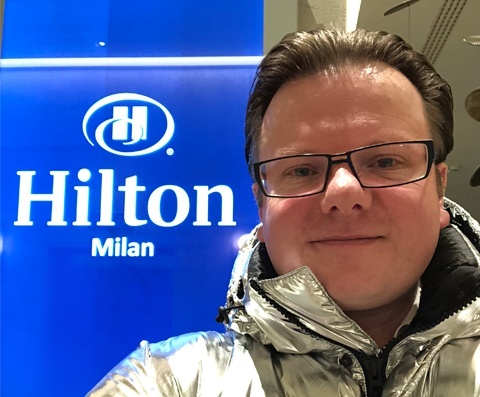 A late-night trip through Munich found Nigel in front of the brightly lit Allianz Arena, the 75,000-seating capacity football stadium that’s been home to the mighty FC Bayern Munich since 2005. After a marathon week of meetings, Nigel is "taking a half day" for a bit of inspiration at the Pompeii ruins near Napoli, Italy. Mount Vesuvius erupted more than 2,000 years ago, covering the village in lava. Nigel Walker and Brian Pierce of That’s Nice joined Servier CDMO’s Gwenael Servant in France this weekend for a journey in his first restored plane. The team had all the confidence in the world hopping into this 1950 North American Aviation T-28 Trojan—that is, until they went airborne. Keeping in line with the theme of the weekend, a 1940 “World War II” Jeep was used to extract a series of vintage jets from their hangers as members of the That’s Nice team and one of our clients enjoyed some aerial fun in an airfield just outside of Paris. The 1943 model of this historic two-seater was one of 8,584 Kaydets built by Boeing between 1936 and 1944 . The biplane , which remained in service until the early 1990s, was widely used by the U.S. Army and Navy as a trainer aircraft. Today, it continues to be flown, on rare occasions, by airplane aficionados like our friend Gwenael. This 1943 Boeing Stearman “Kaydet” Trainer is being piloted by Gwenael Servant, a longtime friend and client of That’s Nice. We had the opportunity to see Dr. Servant’s passion come to life this weekend when we joined him for some aerial action at a private airfield in France. …You find yourself upside down traveling at 550 knots over the French country side. Caption that photo. A well-prepared Brian Pierce is set for what might as well be a bombing run, as there’s no room for hesitation today. The skills he gained during his time in the Coast Guard seem to be translating well as he takes flight. Brian Pierce takes off on the biplane's maiden voyage. 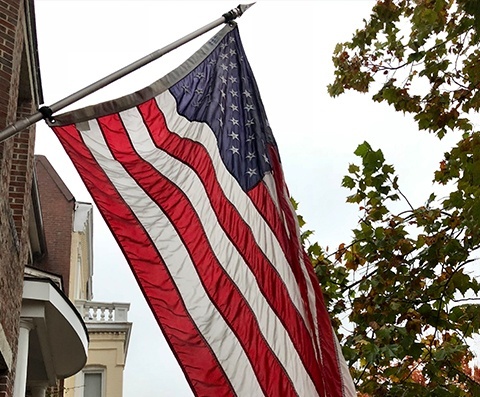 As the wind begins to pick up, we realize this is no time for amateur hour. The Lamborghini Urus is out and, as far as Nigel is concerned, is a must-add to the That’s Nice Lambo portfolio—orange or not. Members of the That’s Nice team are in Paris this weekend for an exhilarating experience with one of our clients. As usual, Nigel Walker is at the ready with the Nikon D5. 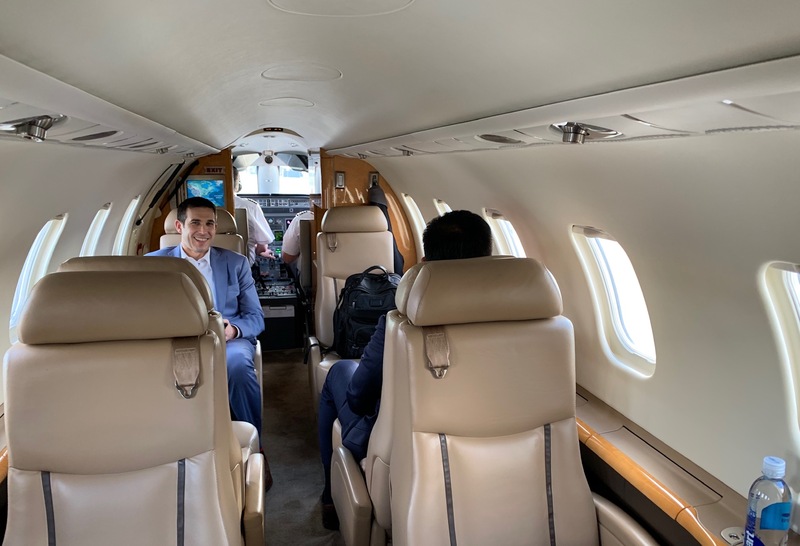 Servier CDMO Managing Director Gwenael Servant and That’s Nice Director of Digital Capture Brian Pierce are 30 miles south of Paris scouting an old World War II airfield before taking flight tomorrow in Dr. Servant’s first restored plane. Accounts Director, Partner, Wei Gao is enjoying the sites and sounds of Paris on his summer vacation. Can you spot the Eiffel Tower? 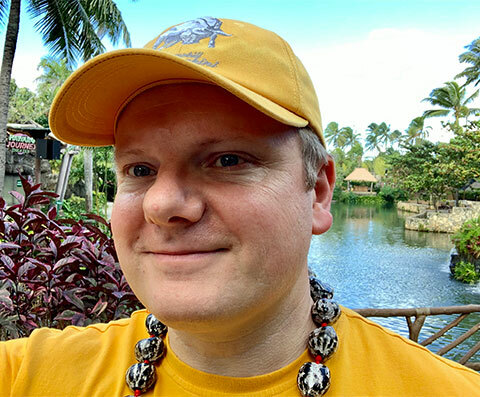 Nigel takes a quick "food-with-a-view" snap at a resort club while on vacation in Hawaii. The first marketing book published by That’s Nice was called View, which made this a fitting photo op 23 years later. Visiting Pearl Harbor and being reminded of the loss of life on December 7th, 1941, we are humbled by the determination demonstrated by the service men and women of the U.S. Armed Forces. 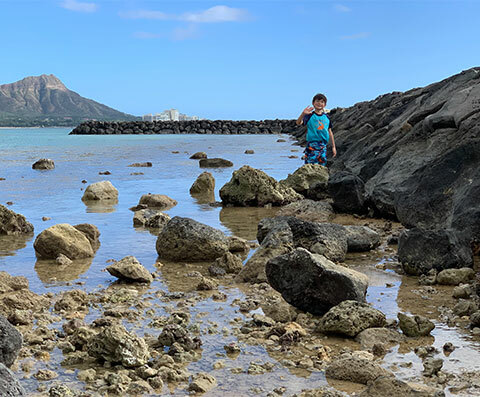 Taking in some of the serene landscape along Hawaii’s Waikiki Beach, it’s hard to believe the destruction happening just an island away as Kona’s Kilauea continues to spill lava rivers into the Pacific. That’s Nice Managing Director Nigel Walker made bit of a detour this week to the Hawaiian Islands. As lava continues to flow from the Big Island’s erupting Kilauea volcano, it’s business as usual on Oahu. 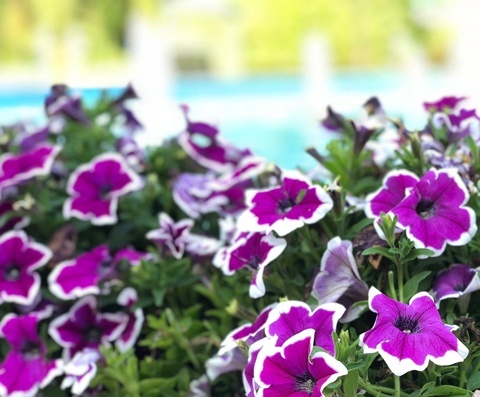 A happy garden makes for a happy gardener, and with more than 700 roses in bloom for the first crop of the summer at his Bronxville, New York home, That’s Nice Managing Director Nigel Walker is considerably content. 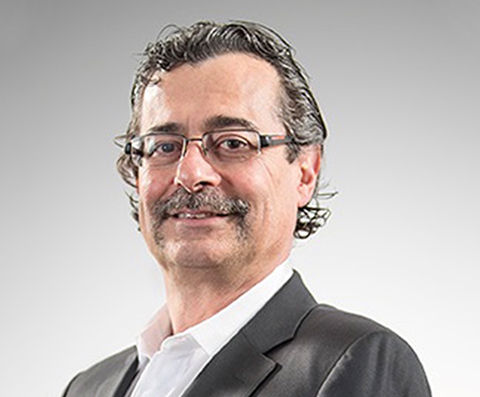 Trilantic Europe is a mid-market private equity firm with investments across a number of industries, including healthcare. No better way to round out our nine-company excursion this week than with a visit to Trilantic’s offices in central Milan to discuss the growth of the industry. It’s the last day of our European travels as we head over to meet with one of the largest API manufacturers in Europe. 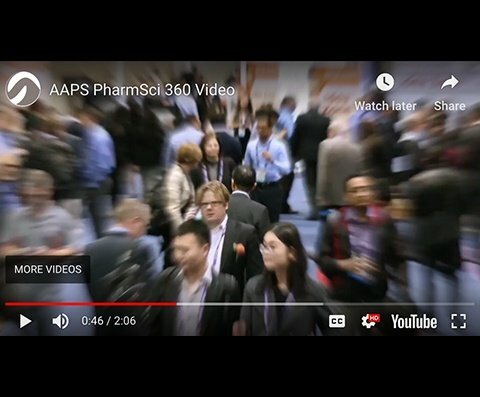 A main takeaway from our journey has been that innovation is thriving in pharma and biotech worldwide, as the various individuals with whom we’ve met are working to solve some of the greatest challenges in modern medicine. We’ve landed in Milan for the last leg of our European trip to meet with Olon SpA, a European leader in API manufacturing. 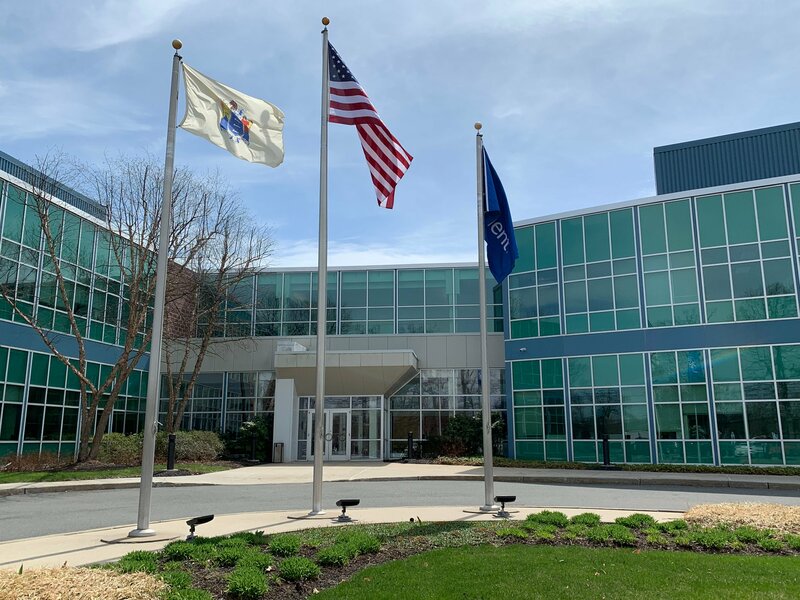 With the company’s recent expansion of its clinical API manufacturing capabilities in the US, it’s time to talk strategy. 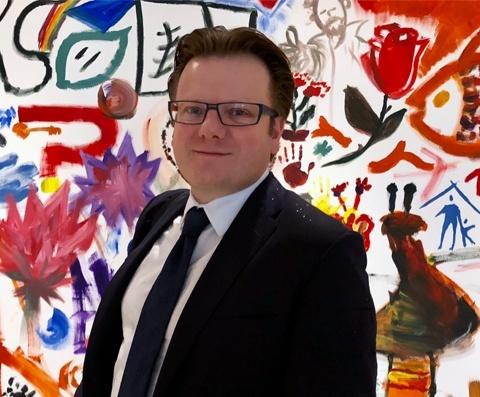 It’s a peaceful Thursday around Paris’ museums as That’s Nice catches up with our longtime client and friend Gwenaël Servant, Managing Director for Servier CDMO. Grabbing a quick craft brew with lunch before our next client meeting, we opted for the Ambree Porte Doree—a beer Nigel wagers could remove the chrome off a doorknob. 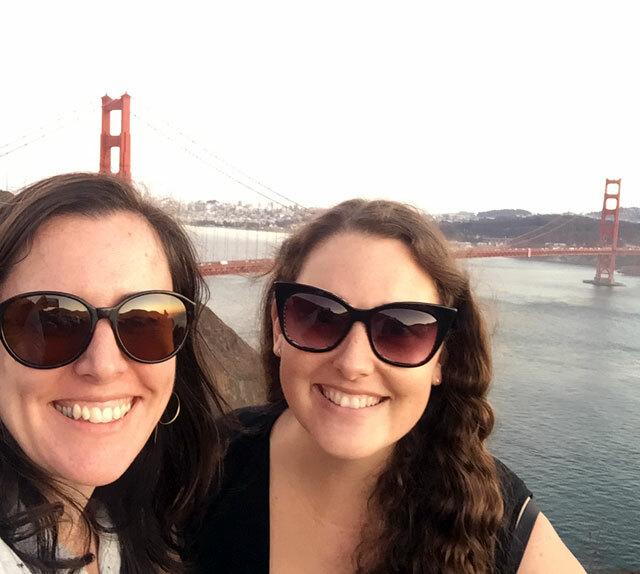 We may be Paris for business, but it would be a crime to ignore a photo op in front of the Eiffel Tower, one of the most photographed pieces of architecture in the world. 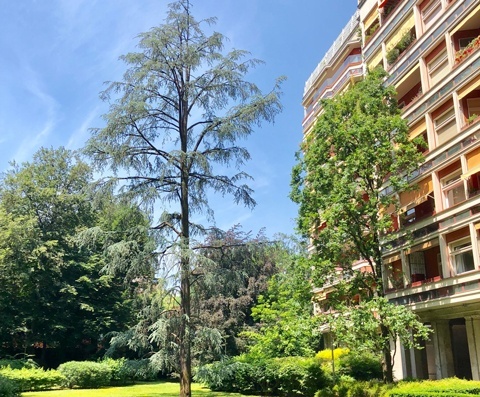 That’s Nice Managing Director Nigel Walker met with the Cenexi senior management team in Fontenay Sous Bois, Paris. Following Cenexi’s 2017 acquisition of its world-class steriles facility in the Normandy region, there is much to discuss as the sterile fill-finish leader adds new lines and capacity. 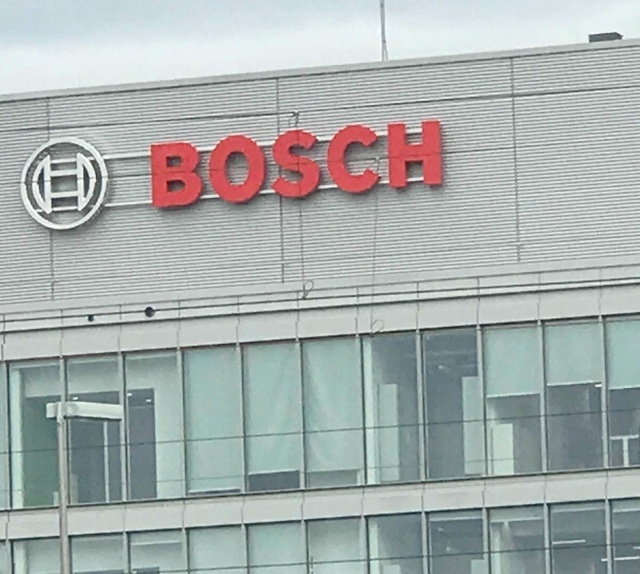 Continuing on our trek through Europe, we landed in Stuttgart to a massive welcome from Bosch. Nigel is hitting the road for Laupheim tonight, a quick one-hour drive south. 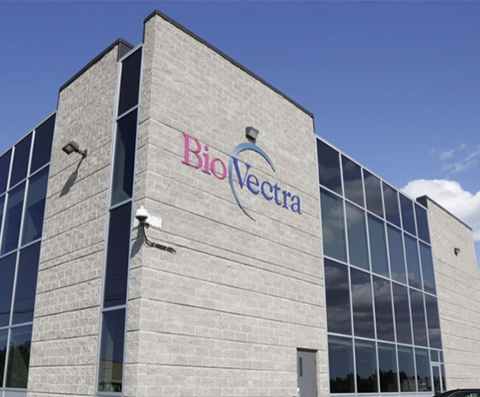 Nigel met with Dr. Liam Good, Director of Microbiology for Tecrea LTD, at the London Bioscience Innovation Centre today to learn more about his new nanoparticle technology. A midday report from London assures us the city's biotechs are hard at work on the next big breakthrough, and its police force is keeping watch over citizens and visitors alike--from all vantage points. Known locally as "Bobbies," the London Police force has a tough job with the amount of traffic that comes through the UK's biggest tourism hub. 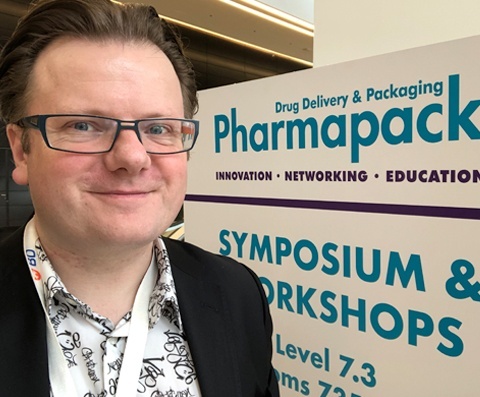 Our tour of London’s biotech circuit continues this week as Nigel kicks off the day with Tecrea, an innovative nanoparticle and polymer company looking for new pathways to the drug delivery world. But first, a quick snap in front of historic St Pancras, an architectural contrast to the modern London Bioscience Innovation Centre to which he’s en route. 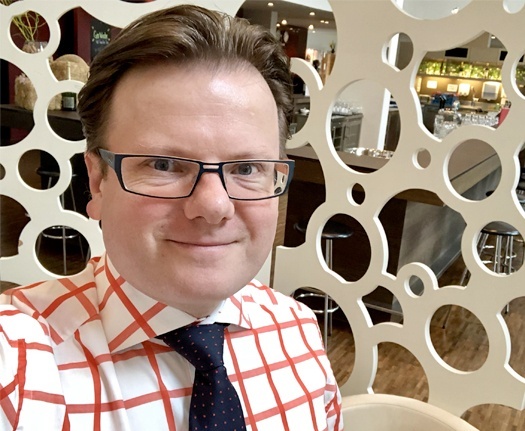 While the world was abuzz with excitement around the royal wedding, That’s Nice Managing Director Nigel Walker was in the UK this weekend for a different reason. But before heading to London for business, he made a quick stop in his hometown of Studham, South Bedfordshire, for a visit with mum. 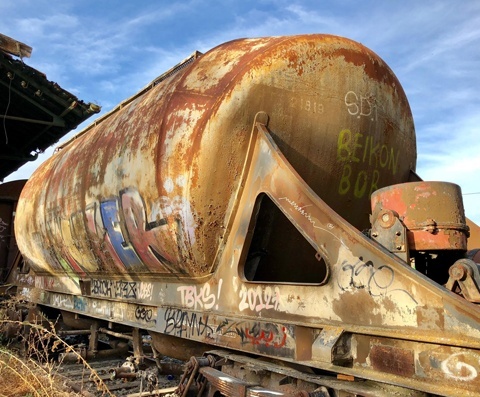 Even for UK-born native Nigel Walker, there is still new territory to explore as he revisits the country for business. 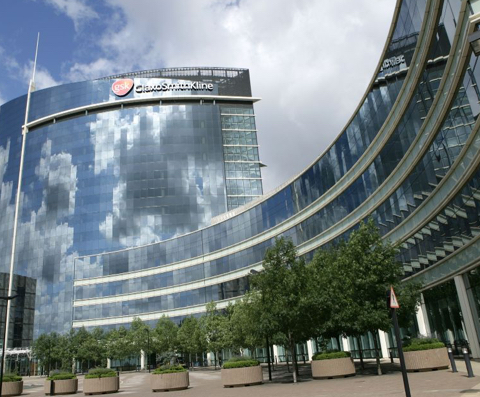 This week, he made his way to the “mother ship” of one of our longest-standing accounts—GSK House in Brentford, London. 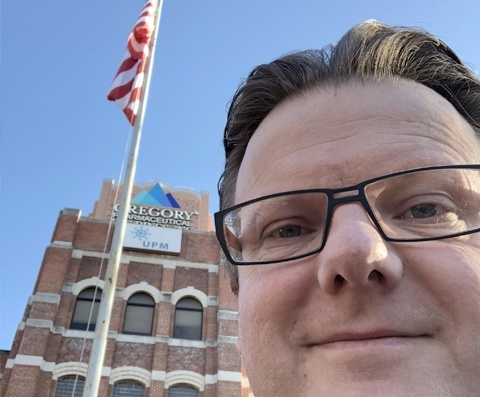 That’s Nice Managing Director Nigel Walker was in St. Paul, Minnesota this week for a series of visits with some of the area’s biggest innovators, both past and present. Built in 1904, the former Jacob Schmidt Brewery became one of the largest in the nation by the mid 1900s. The building was converted into Schmidt's Artist Lofts in 2012. 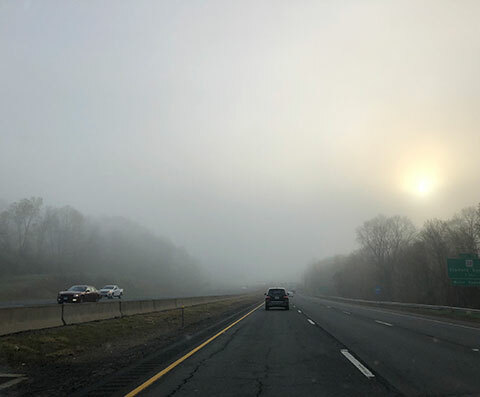 Masked by the shadowiness of a springtime fog, the sunrise over Stamford, Connecticut provided a picturesque backdrop to the northeastern morning commute, as a mixture of moisture, cool temperatures and hindered sunshine created an almost Impressionist landscape. 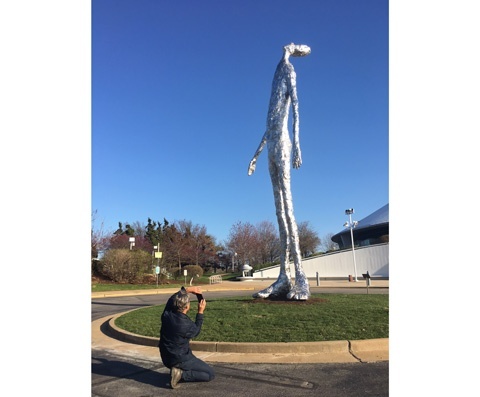 Director of Digital Capture, Brian Pearce, takes in the St. Louis sun while shooting for a client. The creative eye is always open to new inspiration, even after a long day of work. 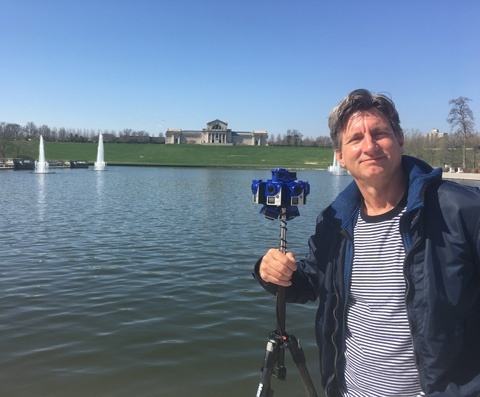 Brian Pierce, director of digital capture for That’s Nice, is doing just what his title implies while visiting Forest Park in St. Louis following a video shoot of Alcami’s newest facility. 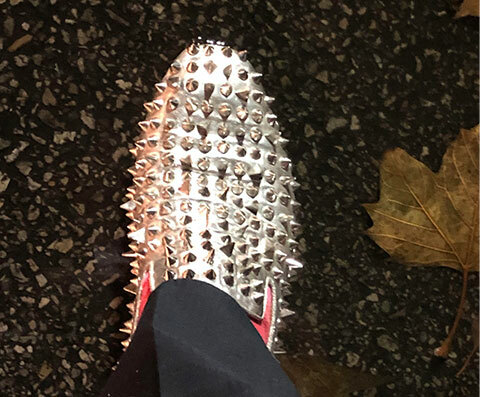 Anyone who knows That’s Nice knows we have a mild obsession with all things chrome, inspired largely by the eye of our managing director, Nigel Walker. 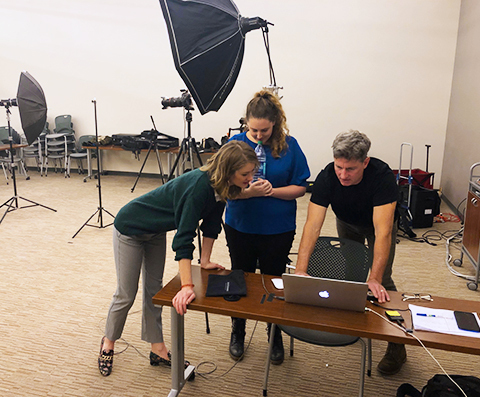 Imagine our delight when we received this photo from St. Louis, where members of our accounts and digital capture team are on site for a video shoot with Alcami, a key That’s Nice account. 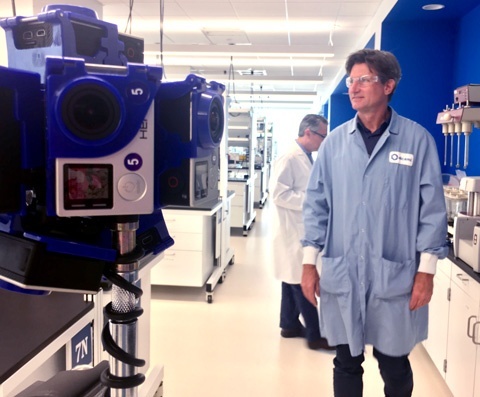 Accounts Director Wei Gao and Director of Digital Capture Brian Pierce are on site in Missouri this week shooting Alcami’s new analytical testing lab in St. Louis' Cortex Innovation Community. 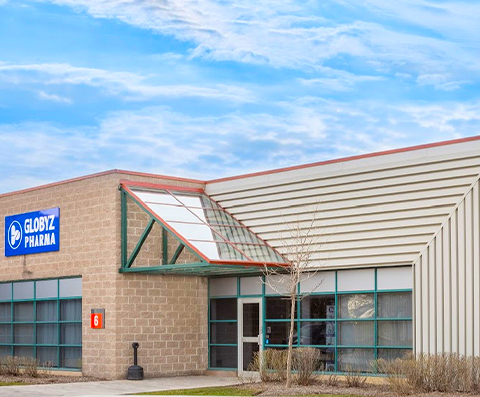 The new state-of-the-art facility launched in Q4 of 2017. It's hot outside! Nigel Walker is definitely not in NY, as he enjoys the 86 degree temperatures while visiting clients in West Florida. The team at That's Nice woke up to a winter wonderland yesterday, a full two weeks into spring. 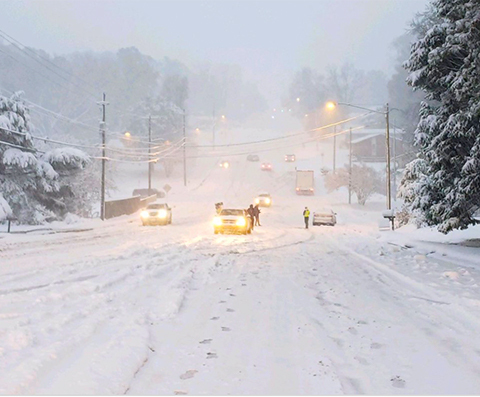 This photo, furnished by our business logistics manager, Albert Bruan, was taken in Glen Ridge, NJ, where more than 6 inches of snow was reported. 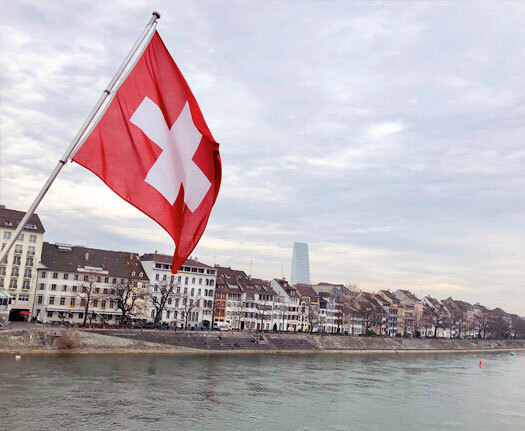 Basel is a city full of innovation, with the likes of BASF, Novartis, Roche and Lonza establishing operations in the northern Switzerland city. 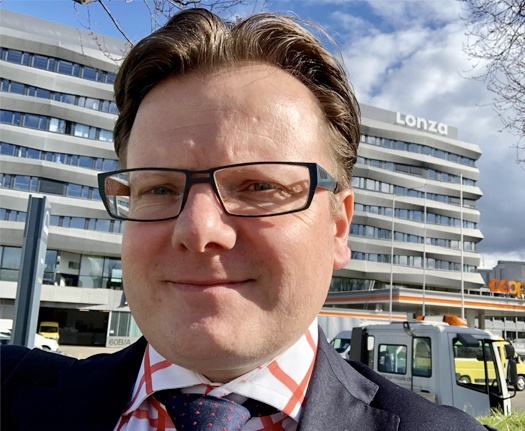 That’s Nice had the opportunity to visit Lonza’s Basel site, where the organization’s drug product services are conducted. The team is wrapping up day two in Switzerland, where That’s Nice traveled this week for business. 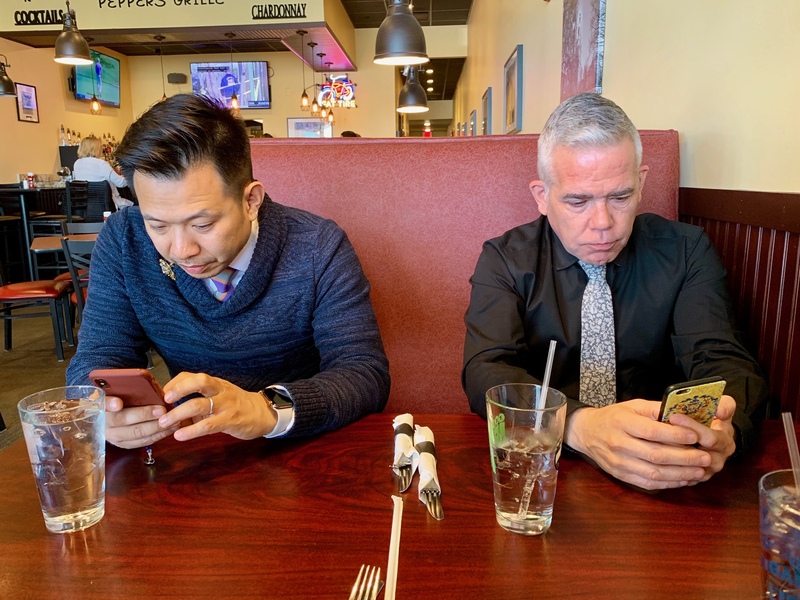 Before heading back to New York for DCAT week, Mark and Nigel came across an interesting restaurant with what appears to be a Swiss cheese style room divider. 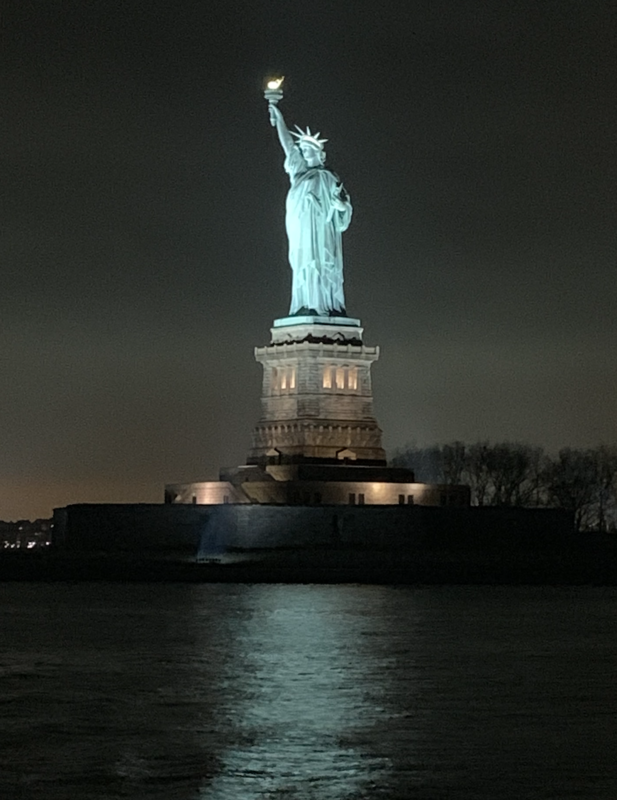 Even during the quickest of business travel turnarounds, we can still make time to take in our historical surroundings. Built originally of red sandstone in 1019-1500, the famous Münster Cathedral of Basel was converted from a Catholic to Protestant church following the Reformation. 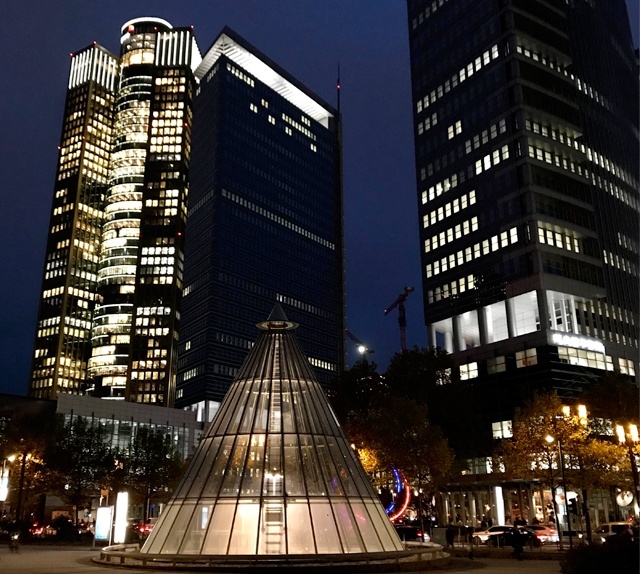 Standing tall above the houses lining the Rhine River is the new Roche building in Basel, Switzerland, a 41-floor, 178-meter tall high-rise showing the organization's "clear commitment" to its Basel site. It’s almost game time in Basel, Switzerland, but before the team makes their big pitch, a bit of a pick-me-up is in order. 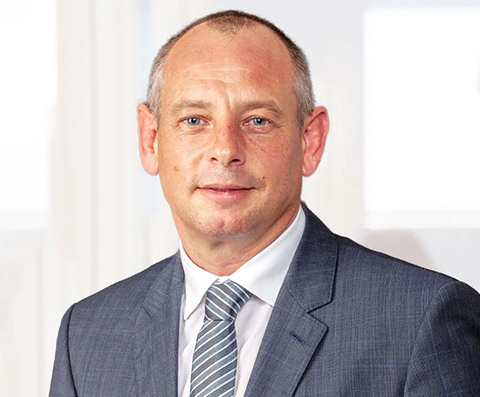 Pictured here is Strategy Director, Partner and newly appointed Master Chocolatier, Mark Allen. 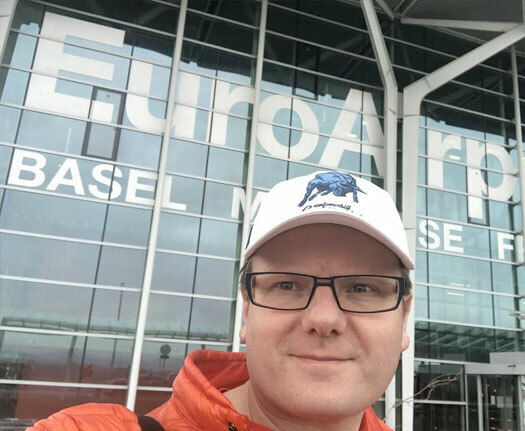 Managing Director Nigel Walker and Strategy Director Mark Allen have landed in Basel, Switzerland, a city filled with pharma industry leaders. 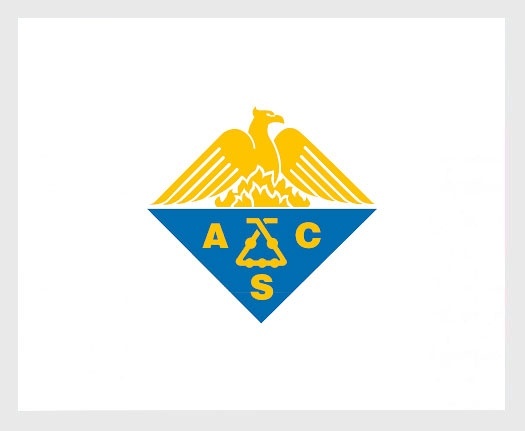 Is it BASF, Novartis, Roche, or Lonza they will be visiting? Stay tuned! Our executive team is heading to Basel, Switzerland for a presentation today, making a quick stop for a layover in Amsterdam. Tulips for all! 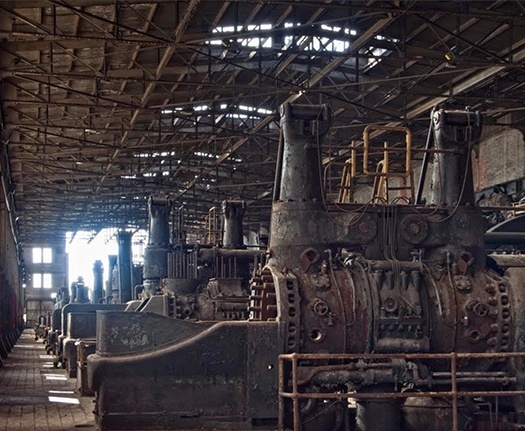 Our clients are in manufacturing, but what has become of U.S. Steel and the origins of U.S. industrial manufacturing from the 1860s? That’s Nice Managing Director Nigel Walker pondered these thoughts after coming across the abandoned Bethlehem Steel Corporation in Bethlehem, PA.
Accounts Director Wei Gao and Managing Director Nigel Walker made a quick trip to Washington DC yesterday to discuss ongoing opportunities with the American Chemical Society (ACS), a seven-year active client of That's Nice. As London continues to build new skyscrapers, the character of this European melting pot continues to develop. 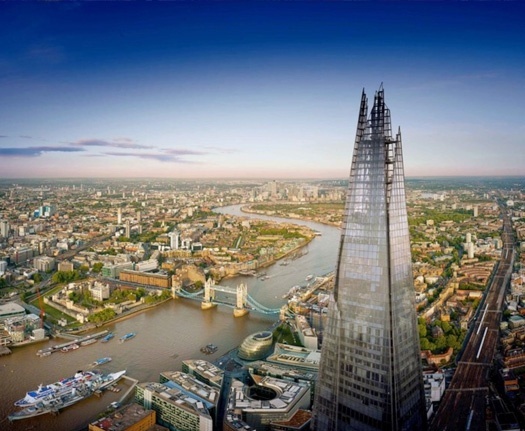 The Shard opened in 2012 is currently the tallest landmark in the United Kingdom. 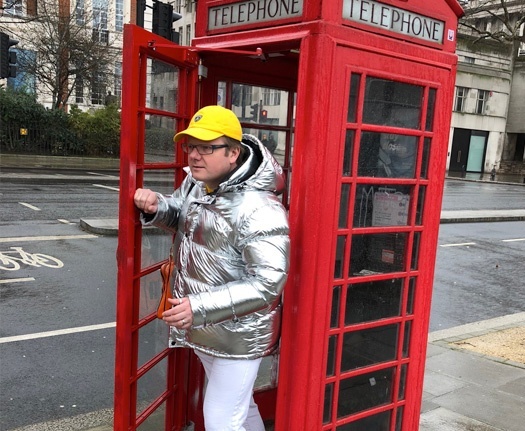 After a week-long jaunt across Europe for business, That’s Nice Managing Director Nigel Walker made a stop in London for a spin around the city before heading back to New York. For a minute there, he was sure he left his bag in the Tardis. 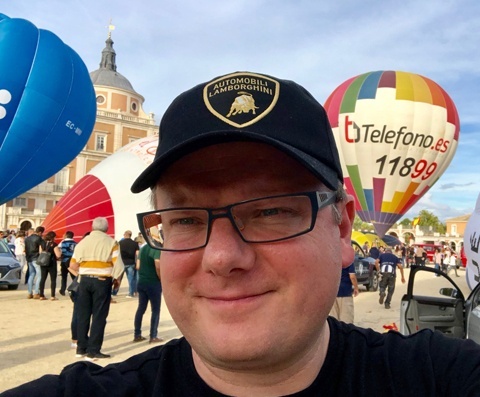 Nigel is rounding out the week at the Royal Palace of Madrid before heading off to London, his last stop on what has been a whirlwind week of jet-setting across Europe for business. 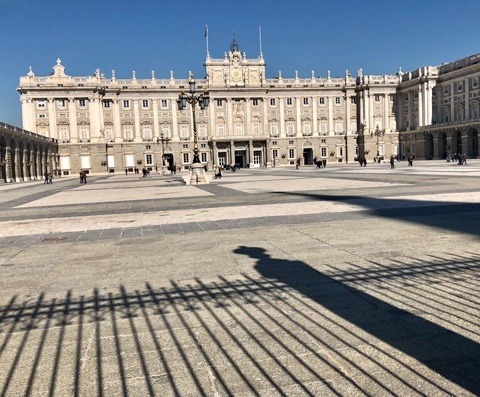 While in Madrid to meet with Insud Pharma / Chemo Group, Nigel stopped by the Plaza Mayor, a beautiful historic square where the royal family lived during the reign of Philip III of Spain. 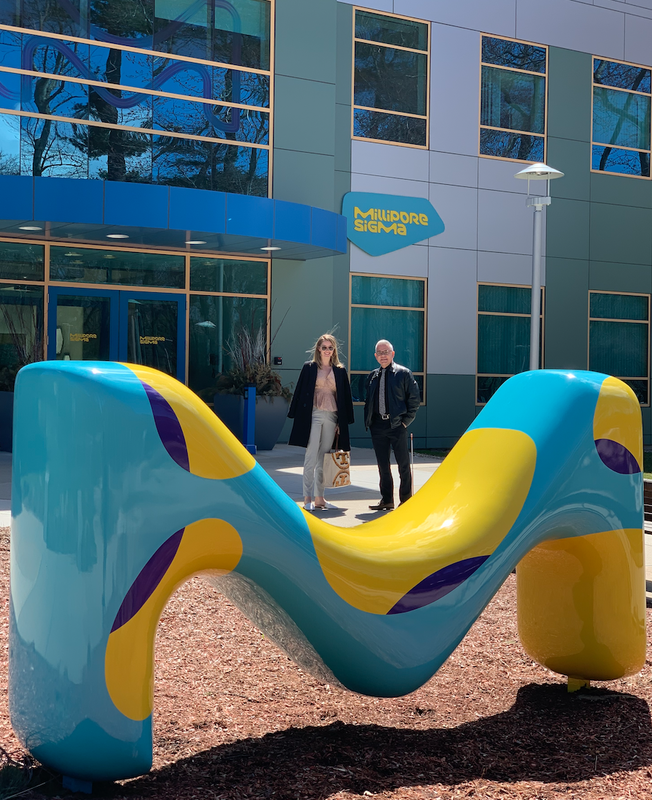 That's Nice met with Insud Pharma / Chemo Group at the company's Madrid headquarters this week to discuss new business opportunities, including Nice Match. 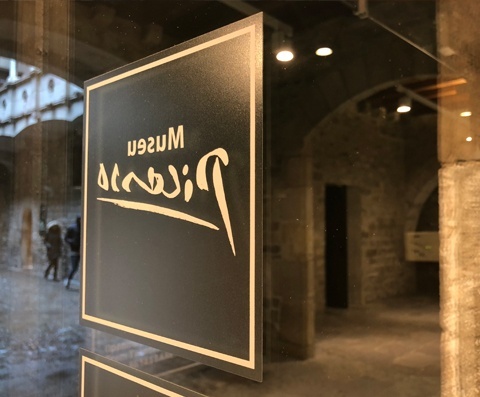 As That’s Nice works to develop and refine our 2018 creative campaign, the Picasso Museum was a must-stop for some inspiration while in Barcelona, and also a revisit to the subject of Nigel’s dissertation back in 1993. 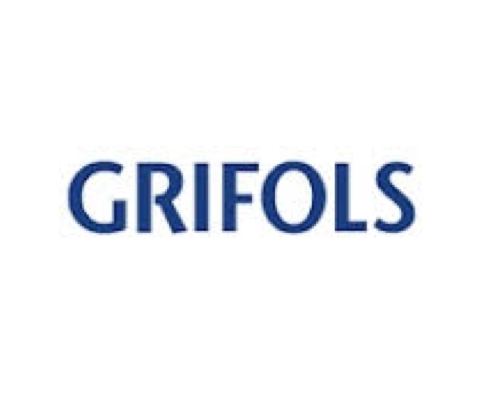 That’s Nice met with Grifols in Barcelona today, a truly disruptive corporation innovating a number of life-saving technologies and products. That’s Nice is meeting with SGD Pharma at Pharmapack 2018, taking place at Paris Expo, Porte de Versailles. 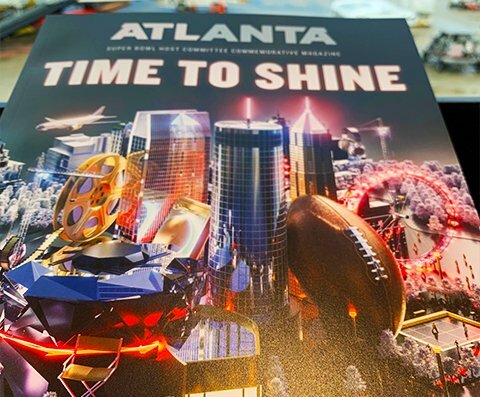 If you are attending, come visit SGD at booth D34 to learn about the company’s new vision for 2018. 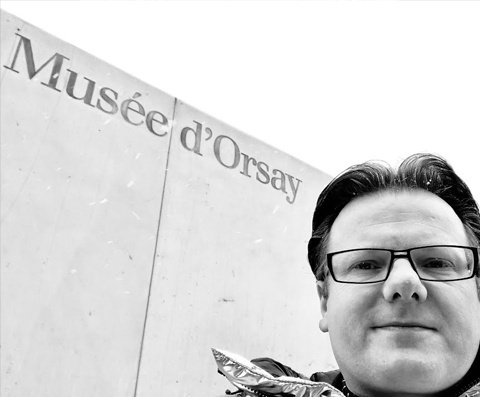 With a bit of a lag in between meetings, Nigel is back at Musée d'Orsay for the second time around. Boasting 173 meters in length, there is still plenty to discover on day two. 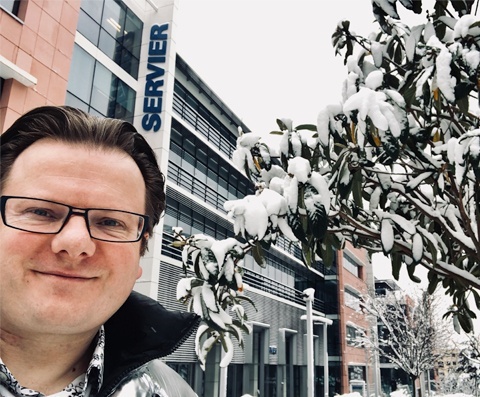 More than six inches of snow fell overnight, providing a picturesque backdrop to this morning’s meeting with Servier CDMO at the organization’s Suresnes headquarters. 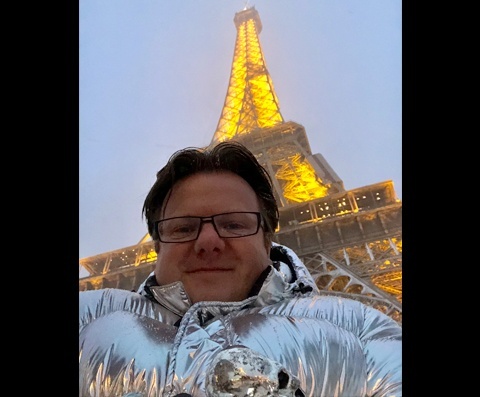 “The Eiffel Tower is ready for some orange.” – Nigel Walker, Founder & Managing Director, That’s Nice. 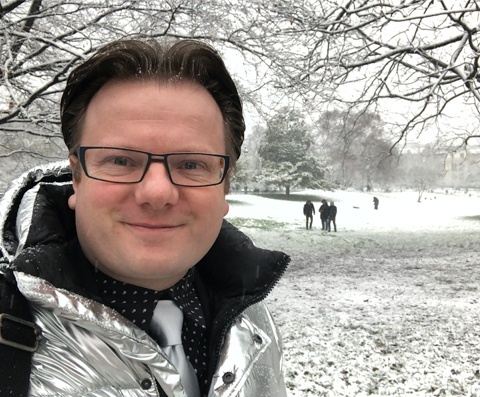 After a productive meeting with Novacap, the snow continues to fall on this wintry Paris evening, covering the parks and sidewalks with a glistening blanket of white. One of few museums open in Paris on a Tuesday, the Musée d’Orsay was a must-see for art enthusiast Nigel, as it houses the world’s largest collection of Impressionism and Post-Impressionism pieces. 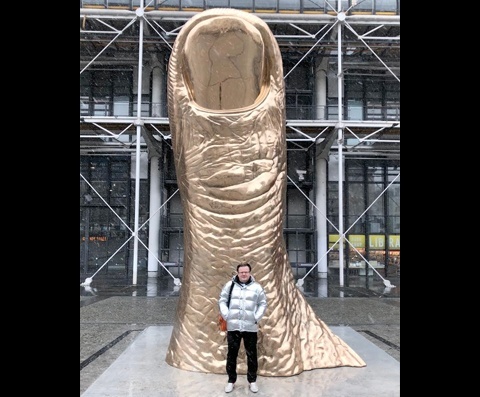 Thirty-one years after his first visit to the Pompidou Center at Paris’ Museum of Modern Art, Nigel is revisiting the 20th-century wonder with a fresh perspective. Much has changed since 1987, but the museum’s grandeur has certainly endured through the years. 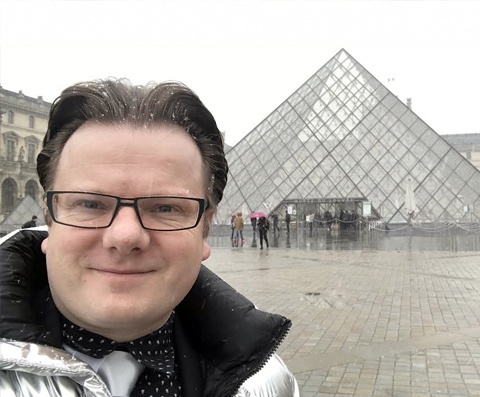 It’s a snowy day in Paris today, and Nigel is spending time between meetings visiting some of the city’s greatest treasures. Naturally, his first stop was the Louvre. Nigel is in Paris this week to meet with a new That’s Nice customer. 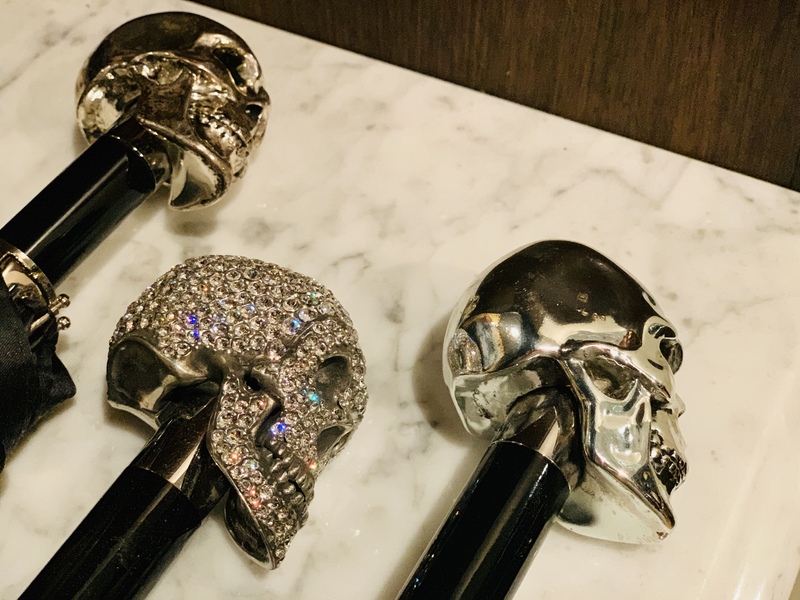 Before hitting the pavement, he checked into the Hilton Paris Opera hotel, a “jewel in the Hilton portfolio,” according to Nigel. 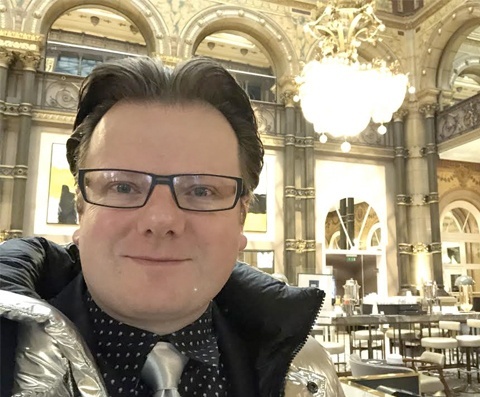 That’s Nice Managing Director Nigel Walker is in Europe this week on a series of client meetings. First stop: Milan, Italy. 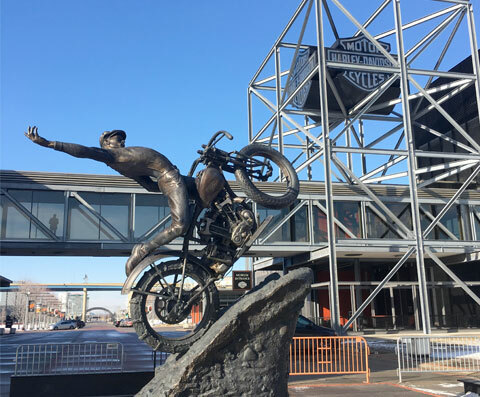 Following a client video shoot in Germantown, Wisconsin, Director of Digital Capture Brian Pierce and Accounts Director Wei Gao made their way slightly south for some complementary footage from the Harley Davidson Museum in downtown Milwaukee. 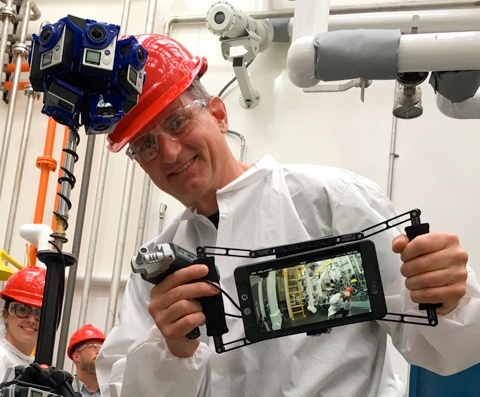 Brian Pierce, Director of Digital Capture, and Wei Gao, Accounts Director, visit Germantown, Wisconsin to capture video footage for an online 360º facility tour experience. Hope it’s not too cold, boys. 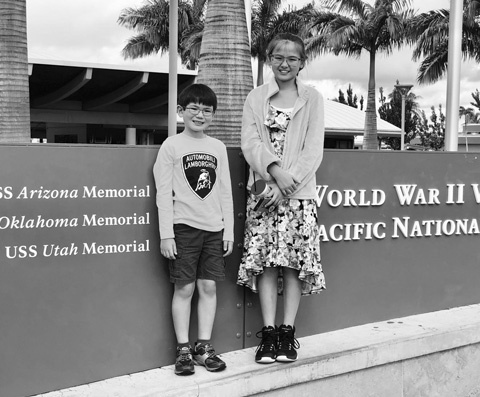 The Walker family spent the day at Pearl Harbor, possibly the largest catalyst to the scale of World War II and its ultimate ending. Mono and Tonal were the camera filters of choice, in keeping with the tone of December 1941. 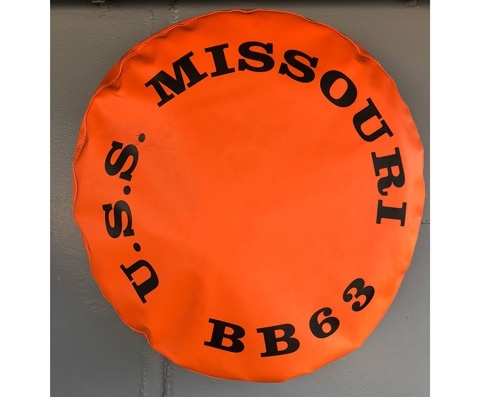 While in Hawaii, That’s Nice Managing Director Nigel Walker and his family paid a visit to the famous USS Missouri at Pearl Harbor, the historic battleship used for the ultimate surrender at the end of World War II. 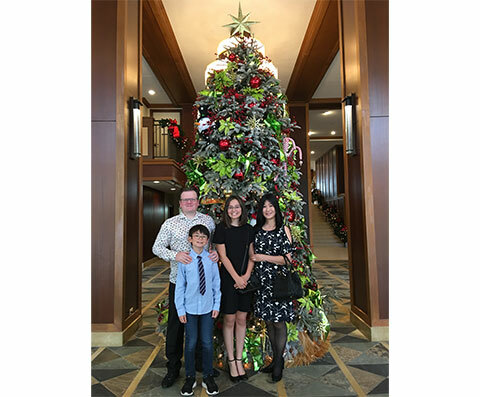 Nigel and his family are spending the holiday season on Oahu in Hawaii. Pictured here is Nigel’s son Luke “The Last Jedi” Walker. 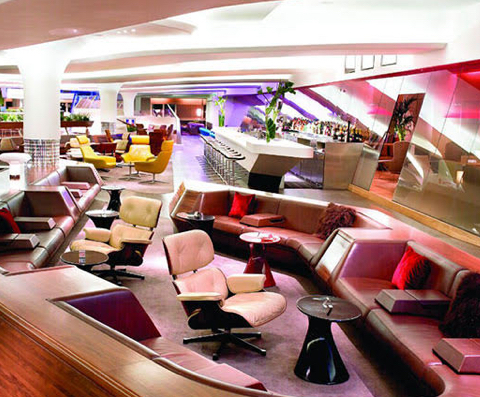 San Francisco’s Centurion Lounge has done a remarkable job of bringing the atmosphere to life through plant wall design. 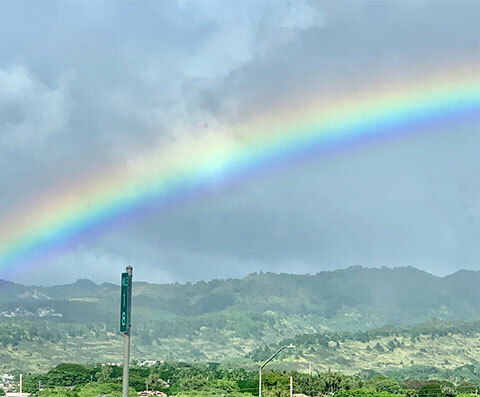 This display was spotted during Nigel’s recent trip to Hawaii for the holidays. 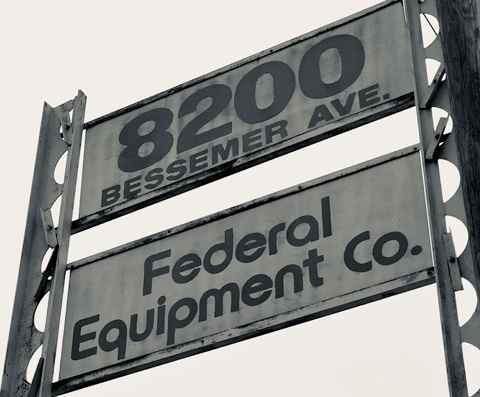 Our final customer visit of the year was to used manufacturing equipment supplier Federal Equipment Company in Cleveland, Ohio. Looking forward to continuing our relationship into 2018 and beyond. Technology may inspire rapid and significant change, but the science behind our greatest inventions endures through centuries. 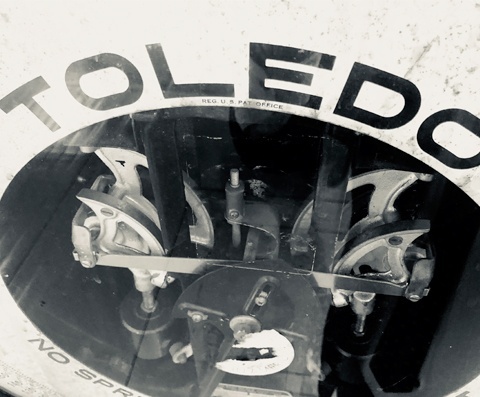 An example of this phenomenon, this 20th century antique Toledo scale was discovered in Atlanta during a recent That's Nice business trip. 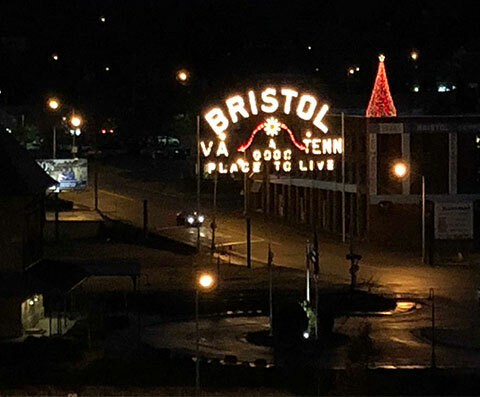 Nigel is in Bristol, Tennessee today to talk 2018 strategy with UPM Pharmaceuticals, a leading independent CDMO and one of our favorite That's Nice clients. 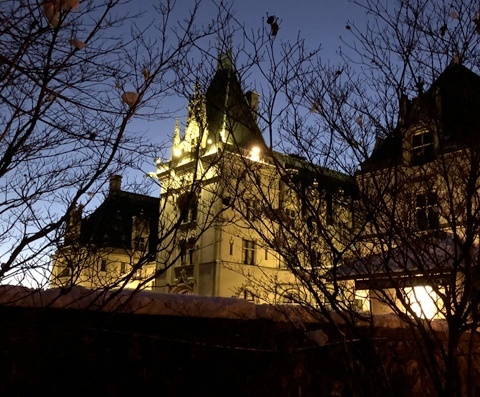 On his way to visiting clients in Bristol, Tennessee, Nigel made a stop at the Biltmore Estate in Asheville, North Carolina, one of the largest homes in the U.S. and part of the 19th century Vanderbilt empire. 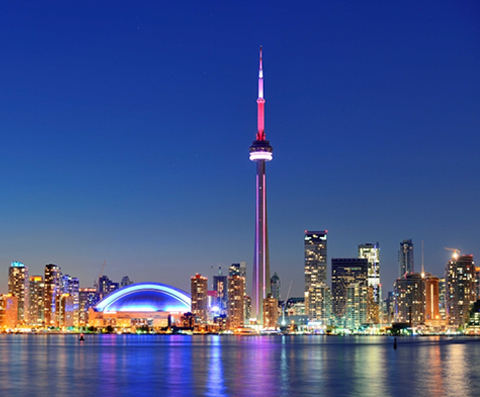 That’s Nice has just arrived back from Colombia after meeting with a new customer, CapsCanada. 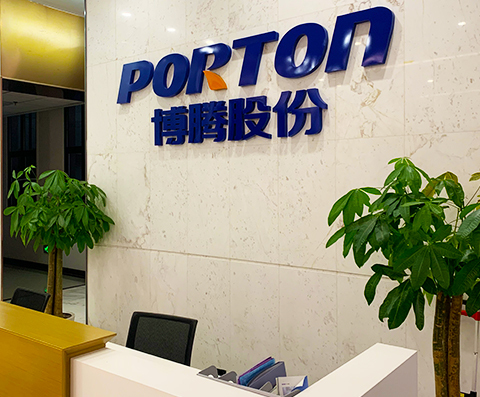 The team could not have been more welcoming during the five-plant tour, and we are looking forward to their new pharma plant coming fully online in 2018. 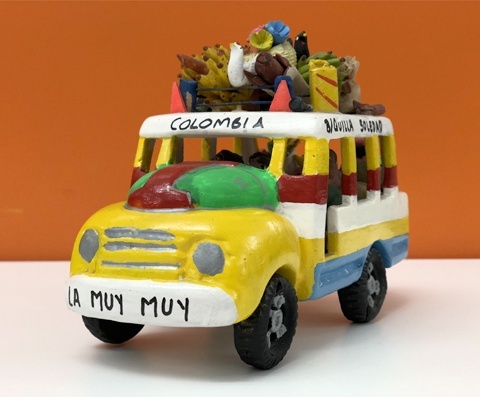 After a quick 24 hours in Colombia to check out a new client’s facility, Nigel reports, “there’s lots of marketing to be done” as the company prepares for a new pharma facility set to open in 2018. 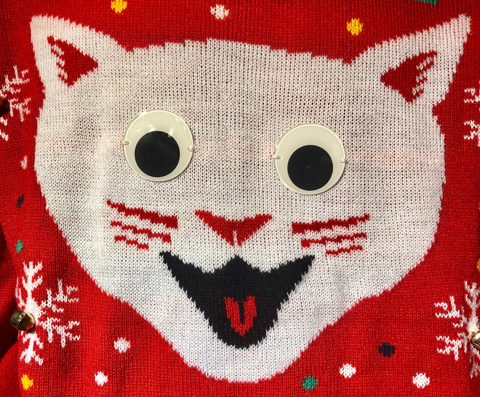 After flying 34,000 miles in the last two weeks, Nigel is heading back to NYC for the last four weeks of the year. But not before making a quick stop for some last minute shopping in Roppongi Hills, Tokyo. 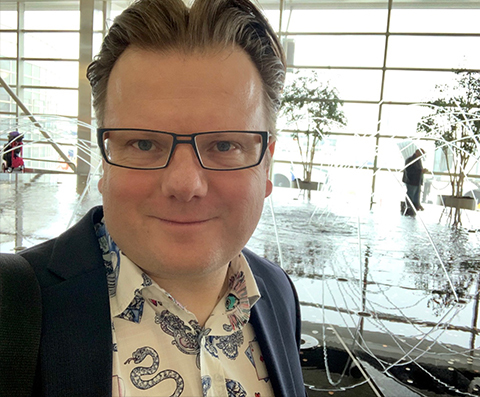 Nigel is in Japan this week visiting our client Bushu Pharmaceuticals. 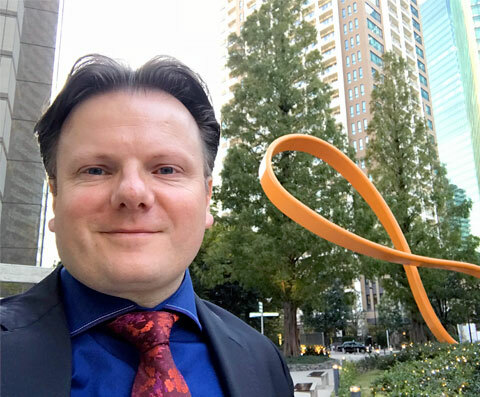 He is pictured here at Tokyo's Roppongi Hills, Japan's largest integrated property development. 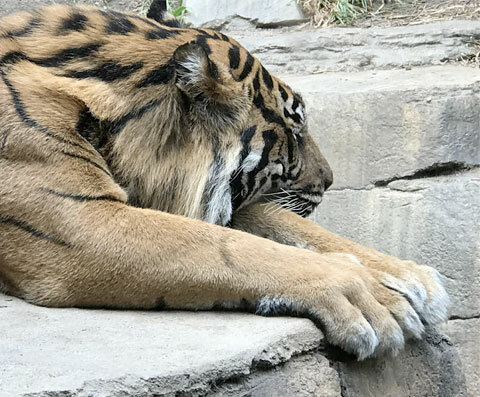 Before leaving San Diego, Nigel took a moment to reflect on the week's events with a stop at San Diego Safari Park. 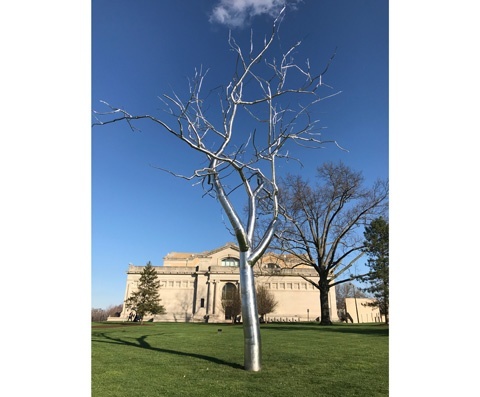 Now that AAPS is over, That's Nice is embarking on a two-day strategy session to organize new resources for a push toward $20 million in 2018. 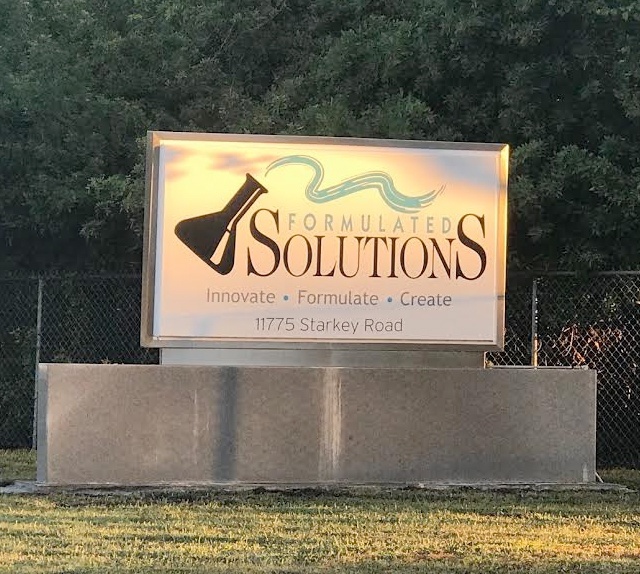 Nigel is in Florida at Formulated Solutions, a family-owned company ready to take on new frontiers, with its innovative synergy between product development and manufacturing. 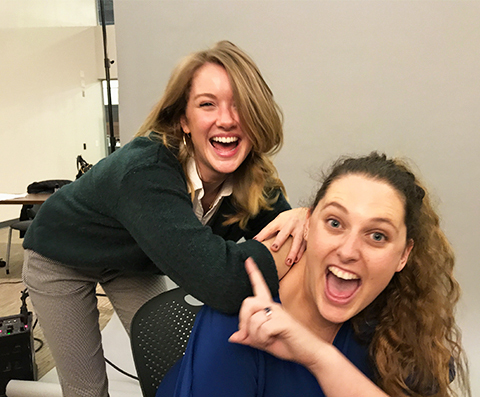 The That's Nice Design Director, Director of Digital Capture and Senior Project Manager headed west to San Francisco to work on a client photoshoot. It's the first day if CPhI Worldwide 2017 and we're happy to report there is a lot going on! 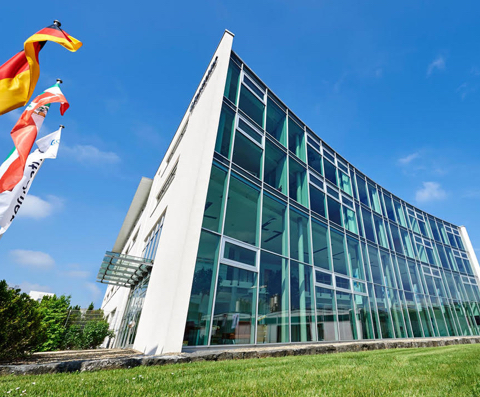 Nigel Walker is in Stuttgart, Germany, which is the home of an industry leader. Fall is coming up fast in Germany — leaves are changing and CPhI is closer by the day! 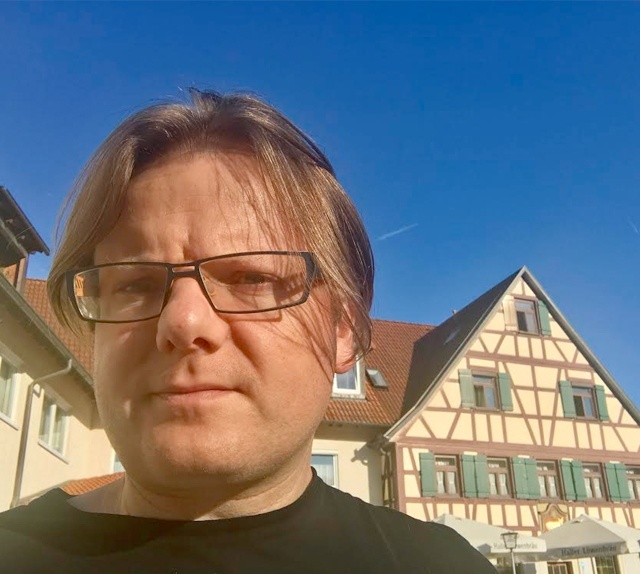 Nigel is enjoying a client visit in Schwäbisch Hall , Germany. 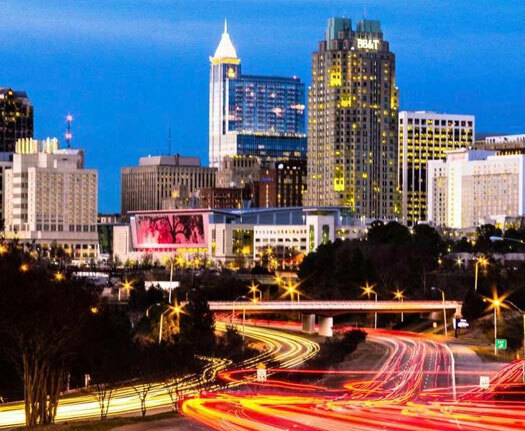 Before jetting off to Europe, Nigel visited Raleigh for work on two important channels. That's Nice is currently beta testing our PharmasAlmanac.com and NiceInsight.com dashboard, with four key accounts in the area. After the last few days of testing, Nigel and the team are ready for CPhI where they will have over 60 more demos.